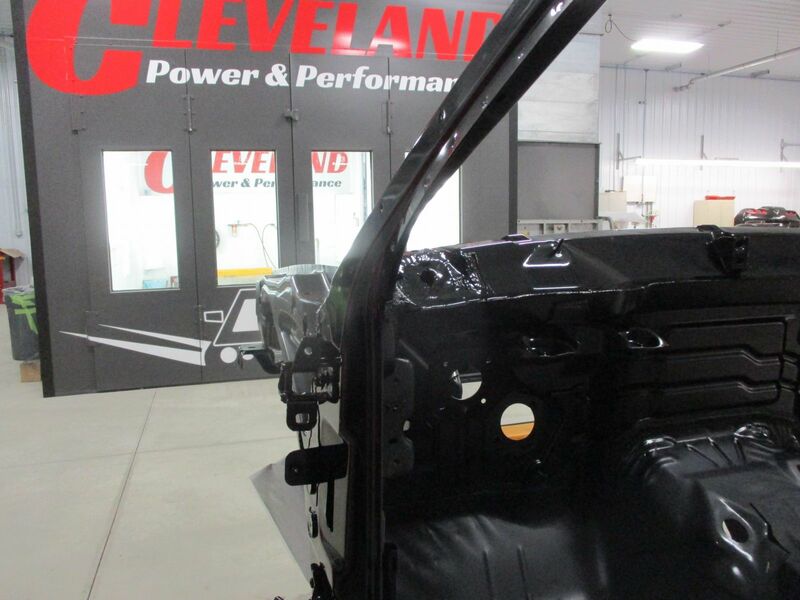 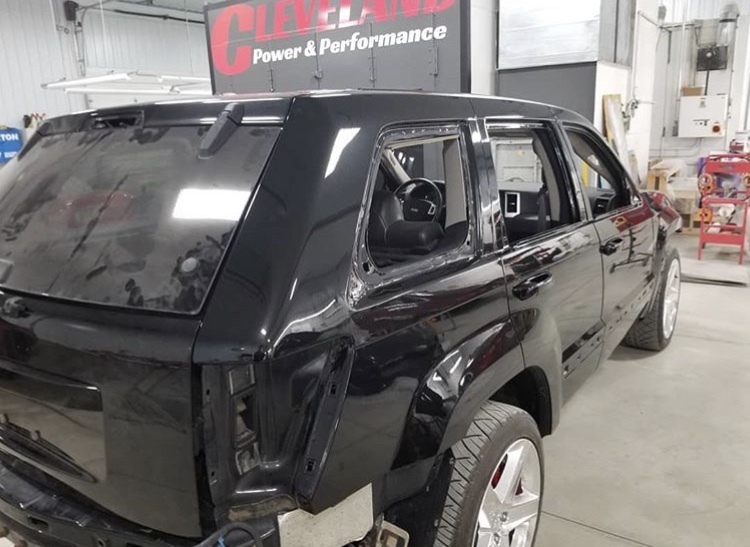 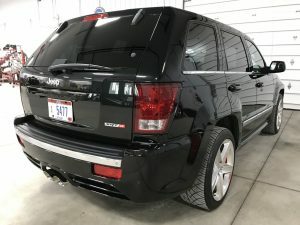 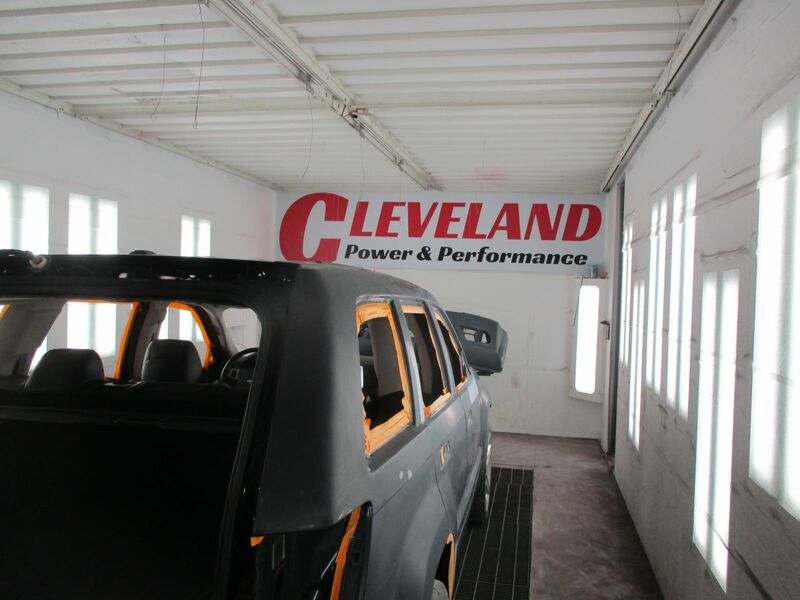 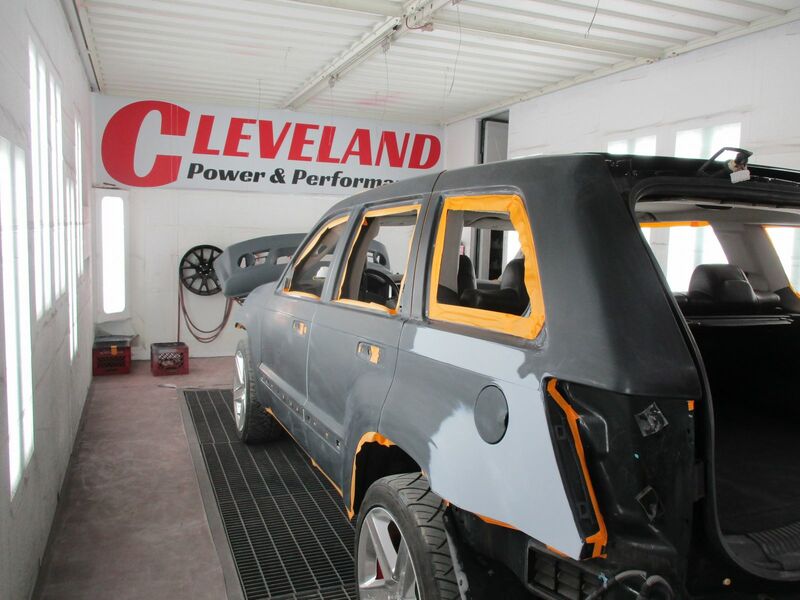 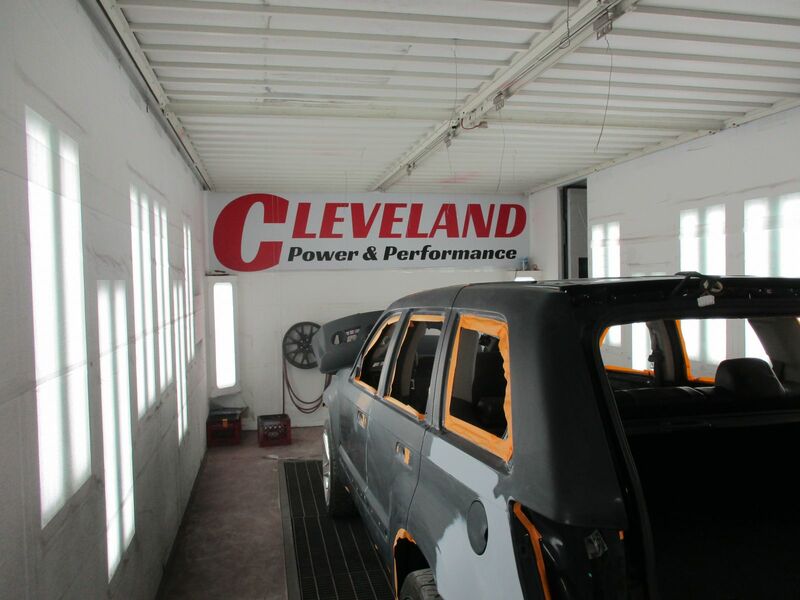 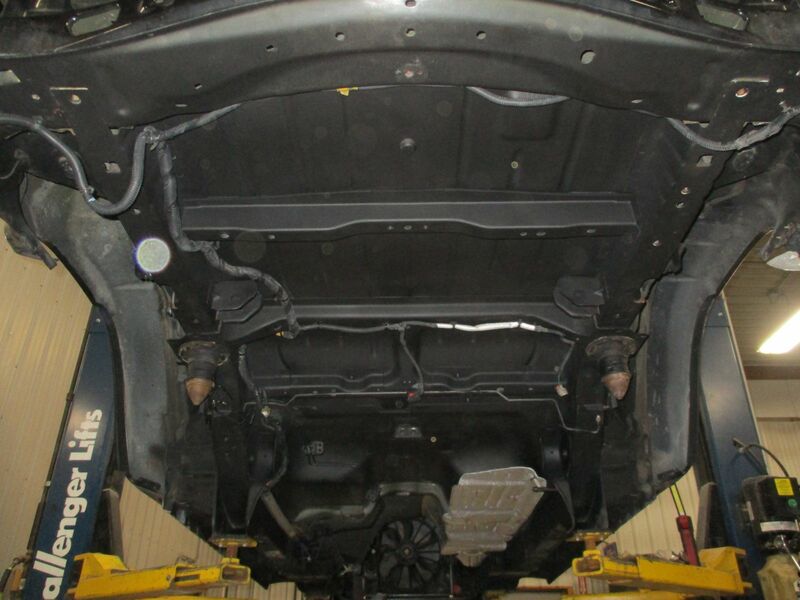 Cleveland Power & Performance is proud to present this 2010 Jeep Grand Cherokee SRT-8 Rebuild. 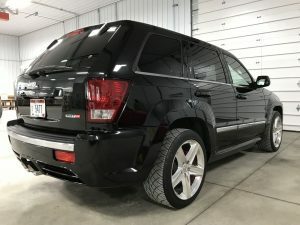 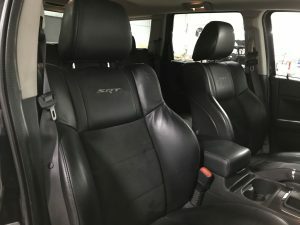 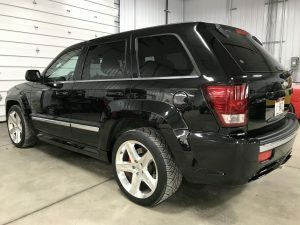 This vehicle was originally produced in Canada, and is one of only 383 total SRT Grand Cherokees to be produced and released in Canada in 2010. 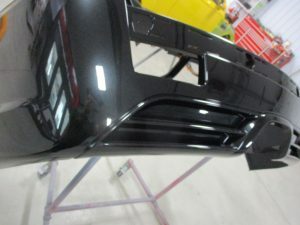 It is also one of only 272 produced in the Brilliant Black color for that year in Canada as well. 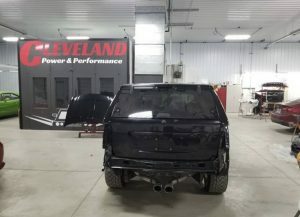 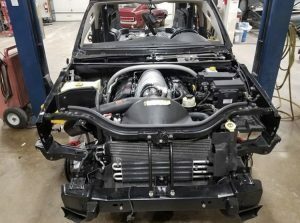 This Grand Cherokee build will be equipped with the factory 6.1L HEMI engine, W5A580 5 speed automatic 4×4 transmission and NVG146 transfer case. 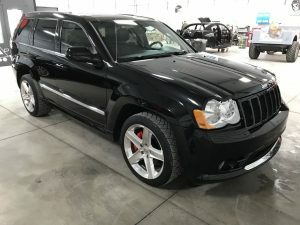 The 6.1L HEMI engine for that year produced 420 HORSEPOWER and 420 lb-ft torque. 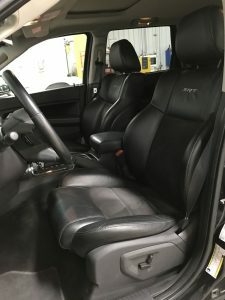 This vehicle will also feature the factory black leather and suede seats, in dash navigation system, 3.73 DANA 44 rear axle and Brembo brake calipers. 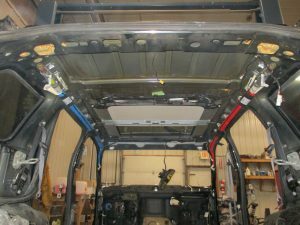 The vehicle show below is the donor vehicle for this build. 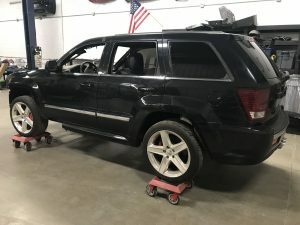 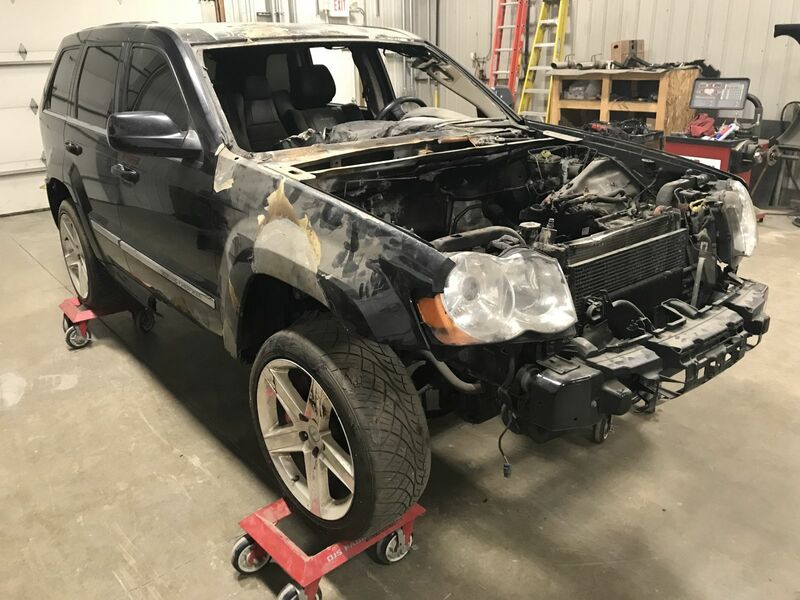 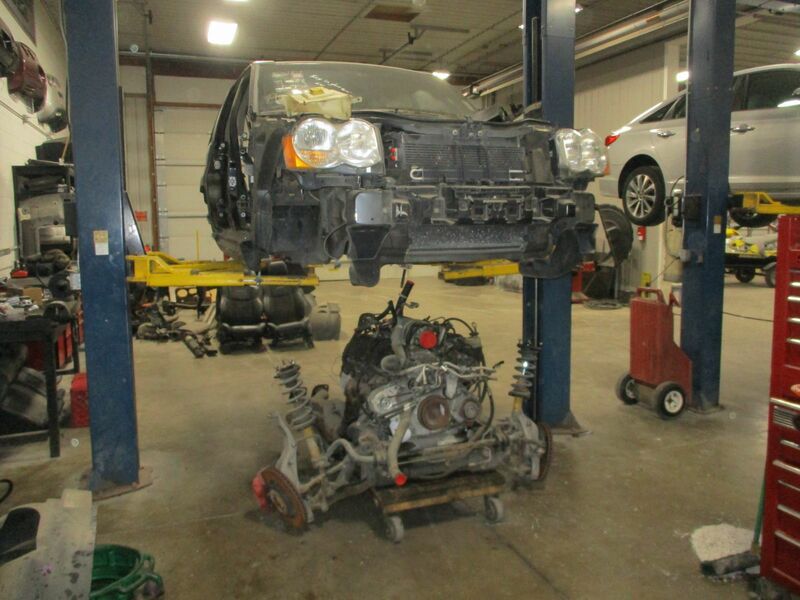 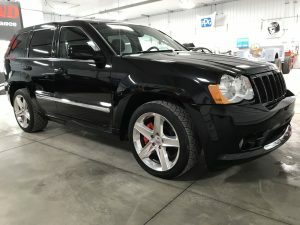 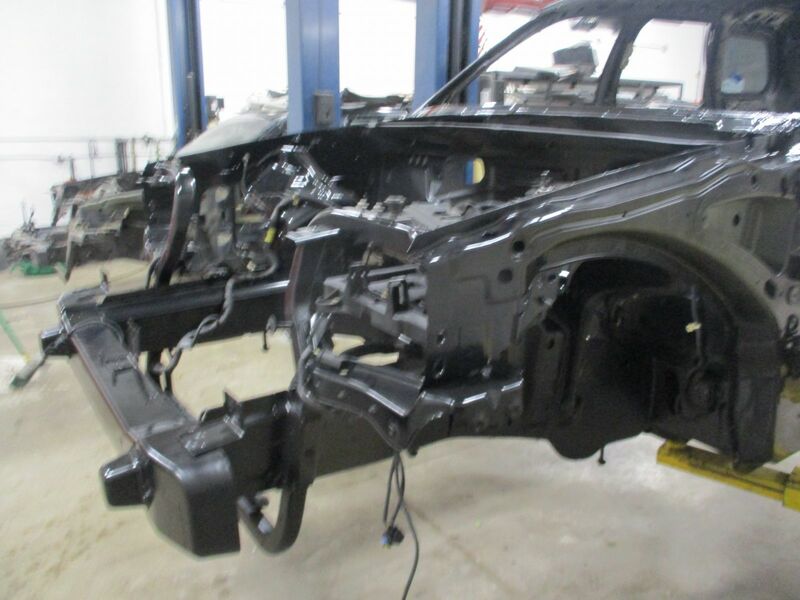 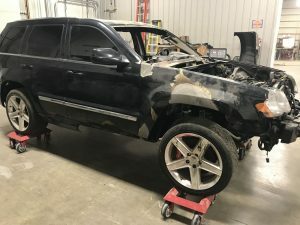 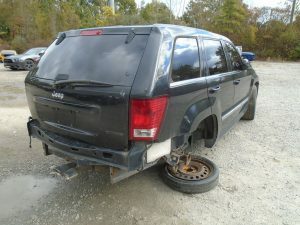 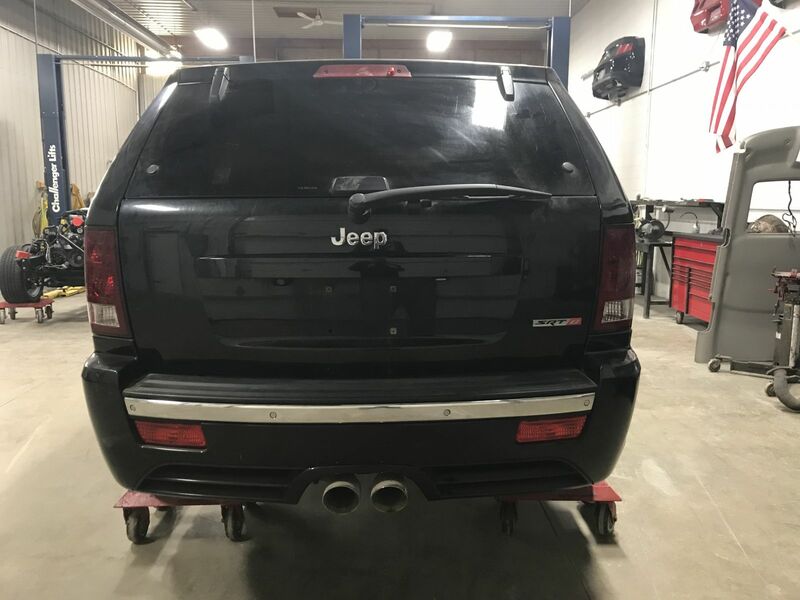 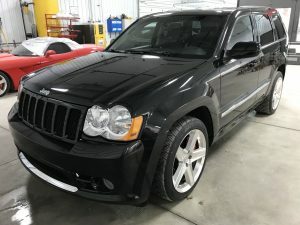 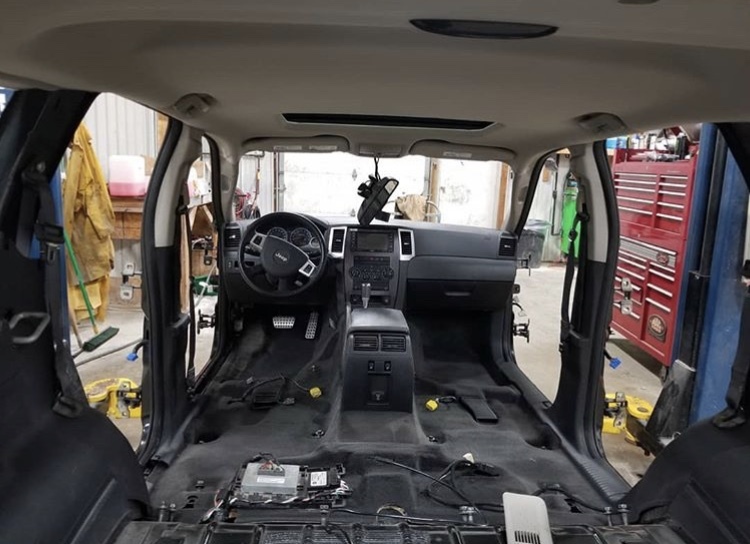 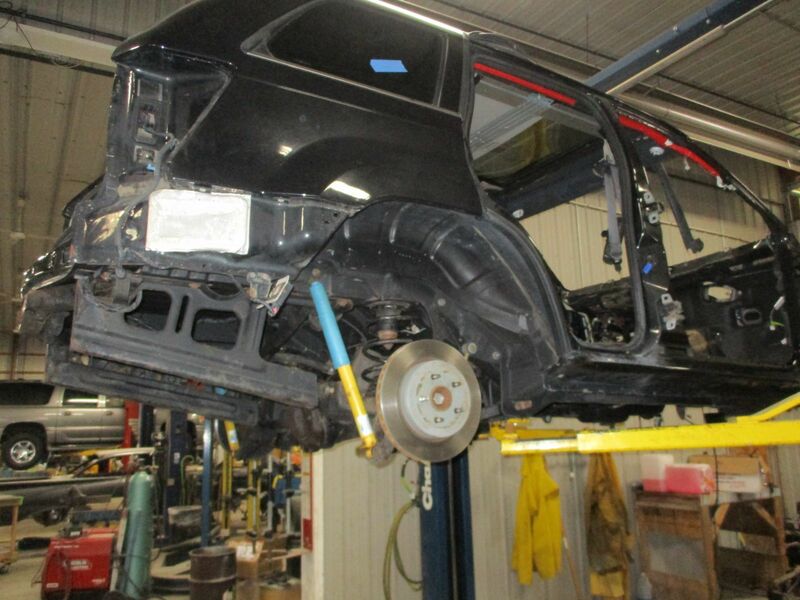 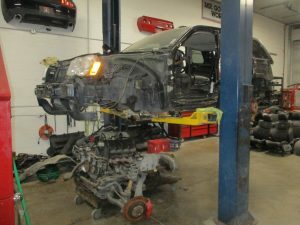 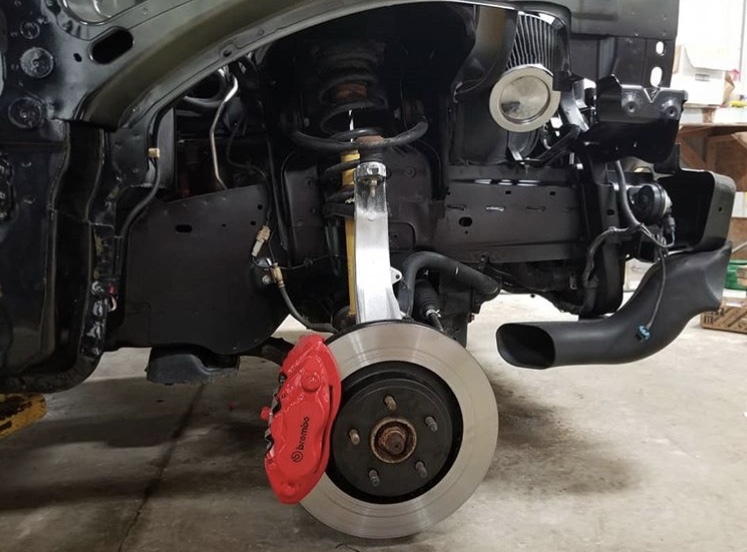 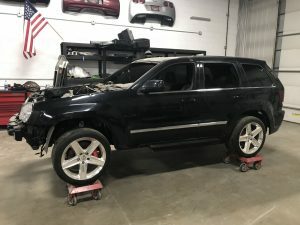 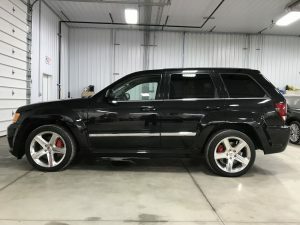 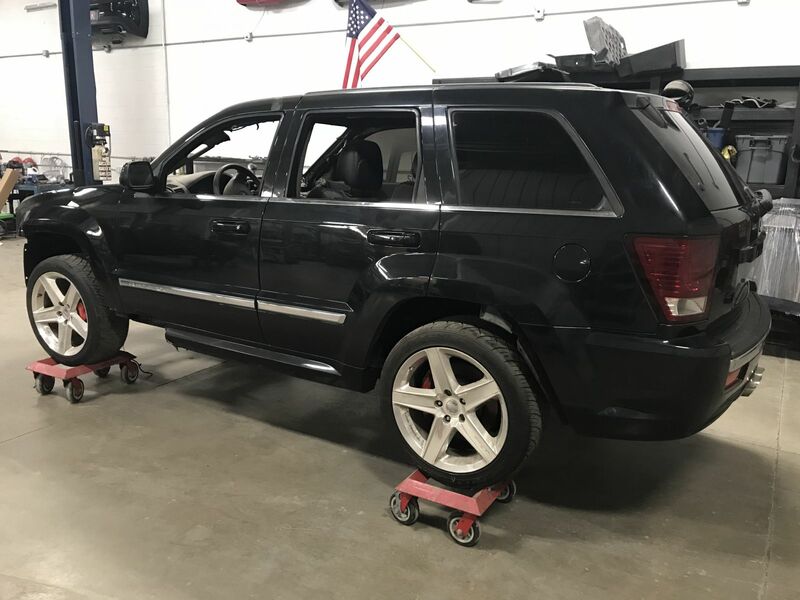 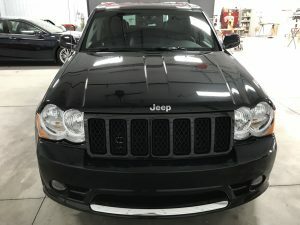 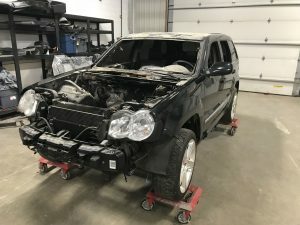 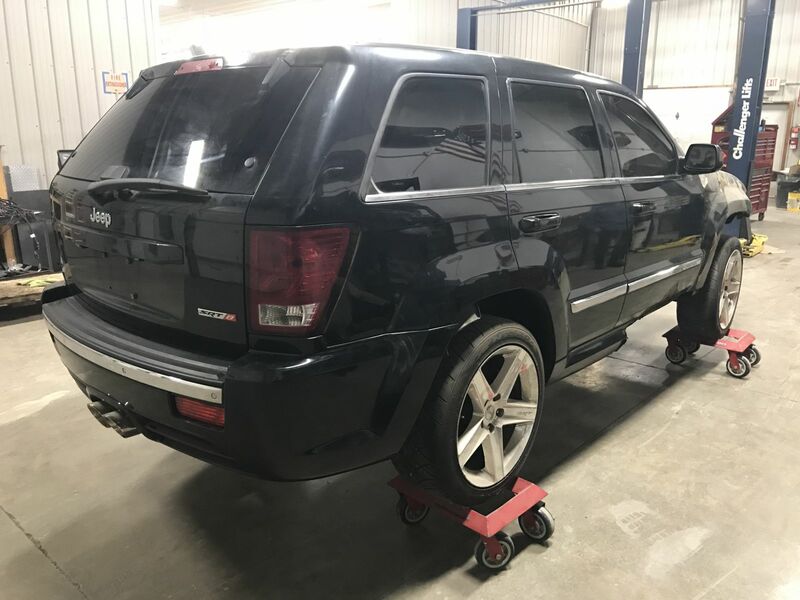 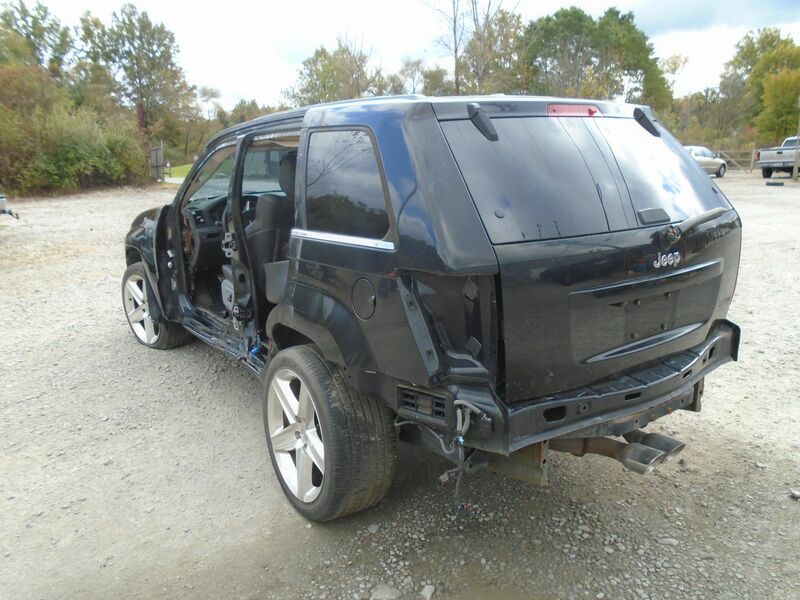 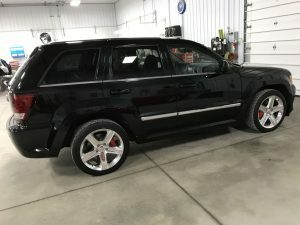 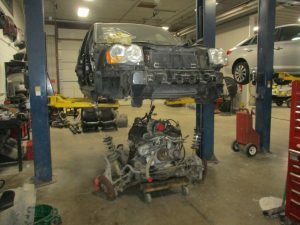 A 2009 Jeep Grand Cherokee SRT-8, which we will removed the driveline and all components from, as well as any other parts we will need to help complete the build. The vehicle show below will be the body of the build, as well as the the actual VIN for title and legal registration. 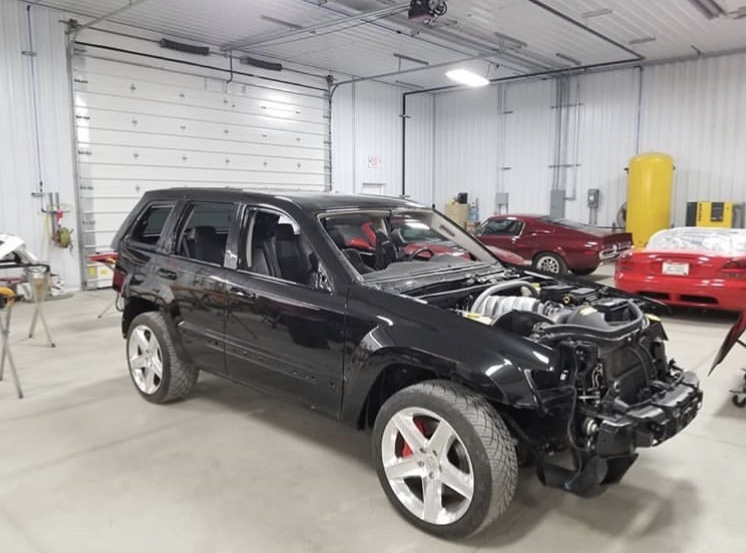 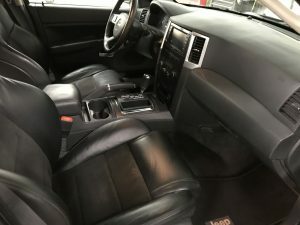 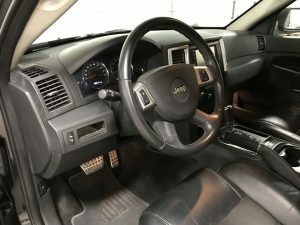 It is a 2010 Jeep Grand Cherokee SRT-8, which was produced in Canada as discussed earlier in this write up. 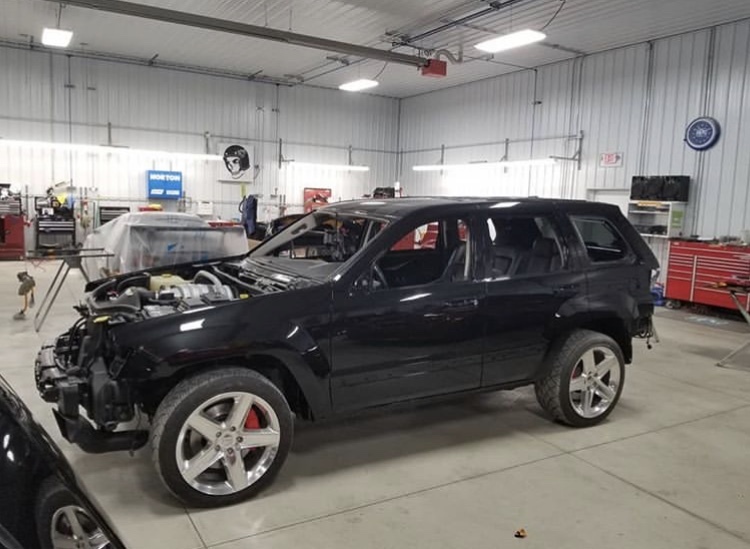 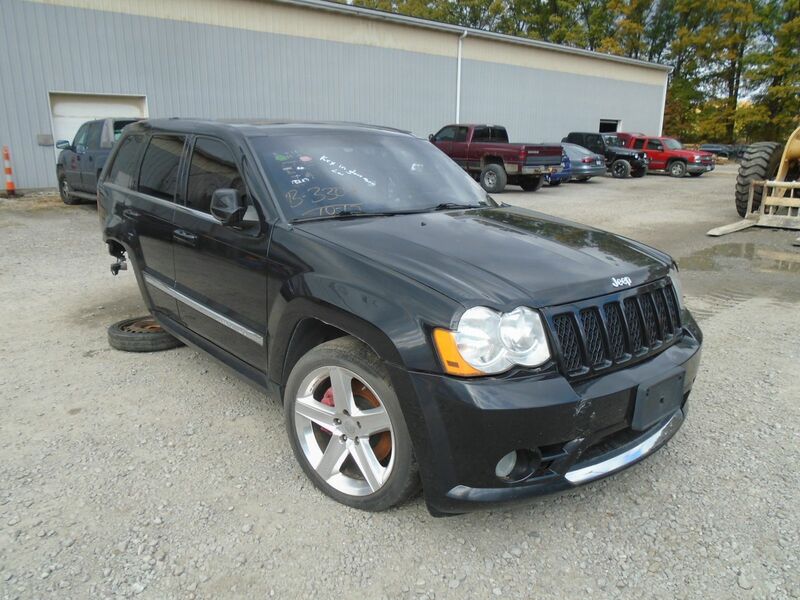 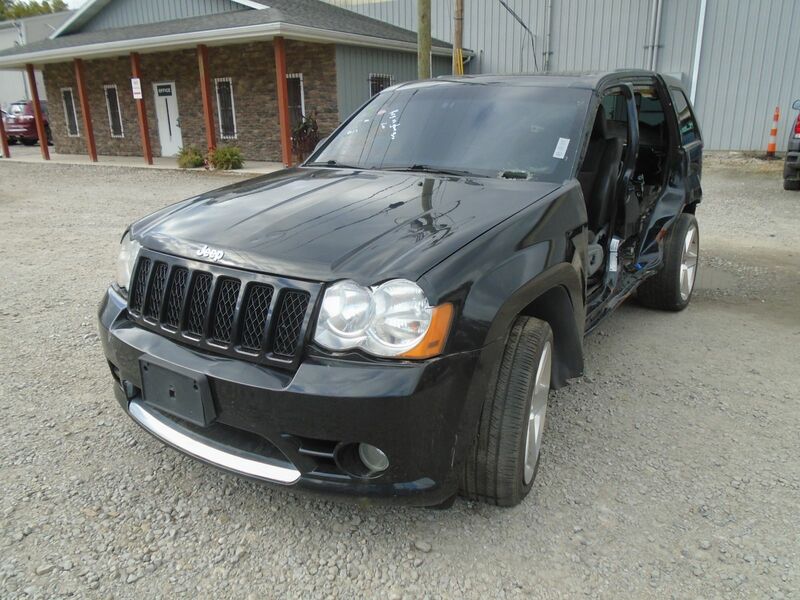 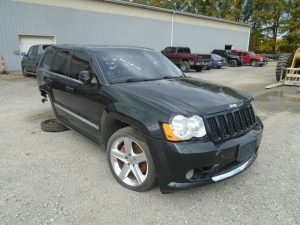 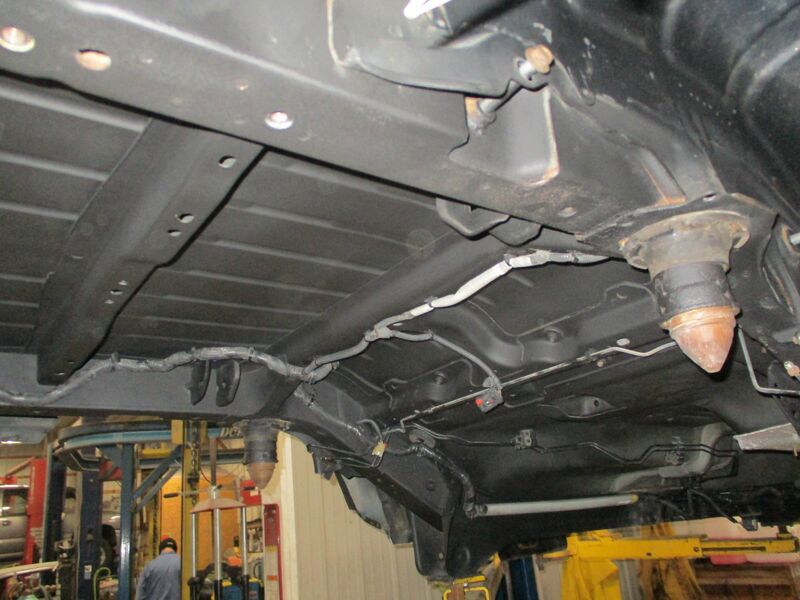 This SRT-8 Cherokee had an engine fire, which made it the perfect candidate for the body. 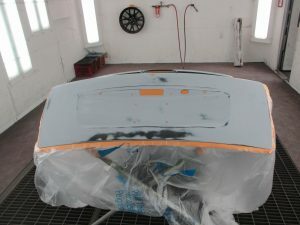 Due to the burn, the shell will be getting professionally painted in house in the same color. We will post build pictures of this from start to finish periodically as this goes on. You can follow along below, and if you have any questions at all about any stage of this build, please feel free to email/message us, or call in at (866)-236-5031. 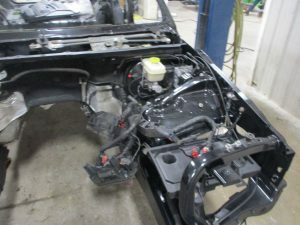 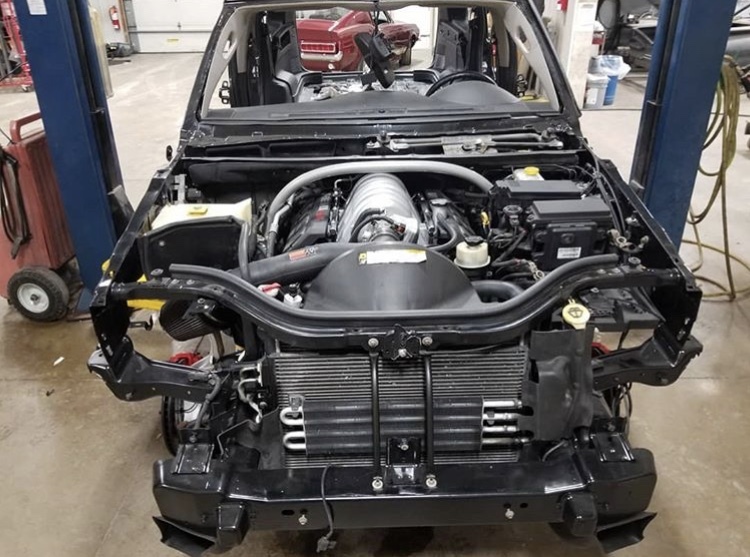 The donor car for the Jeep, which shows the motor being pulled out of, as well as the body of the Jeep we will be using, which was from a car that had an engine fire. 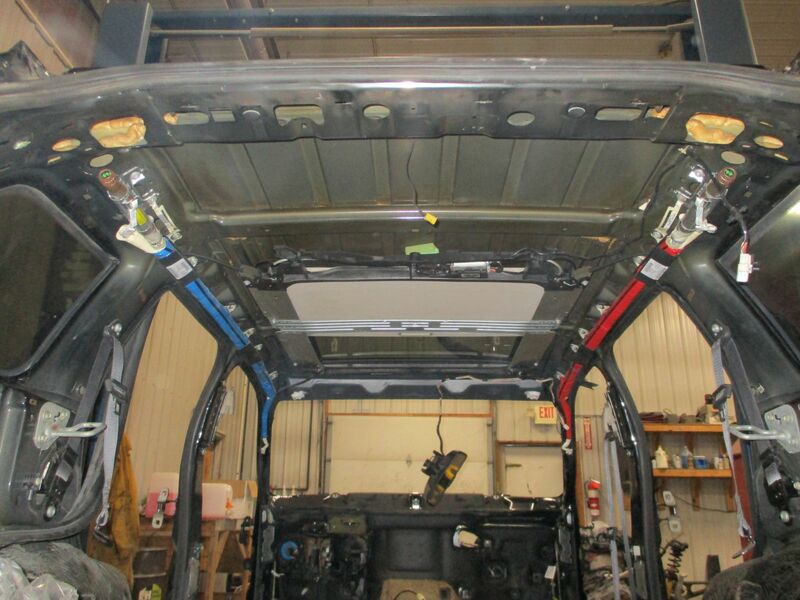 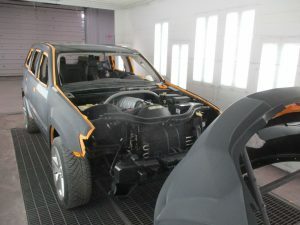 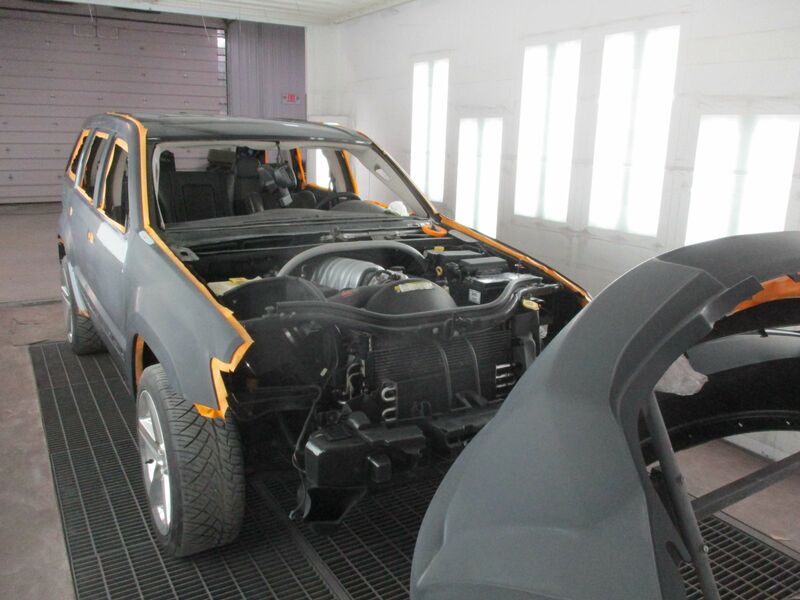 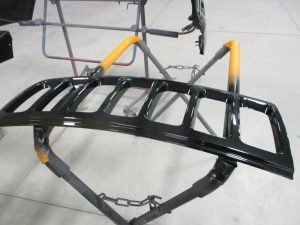 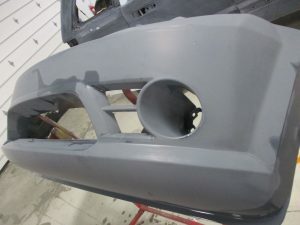 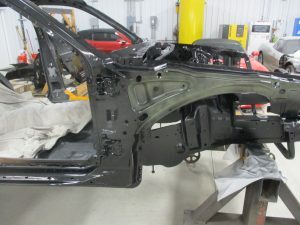 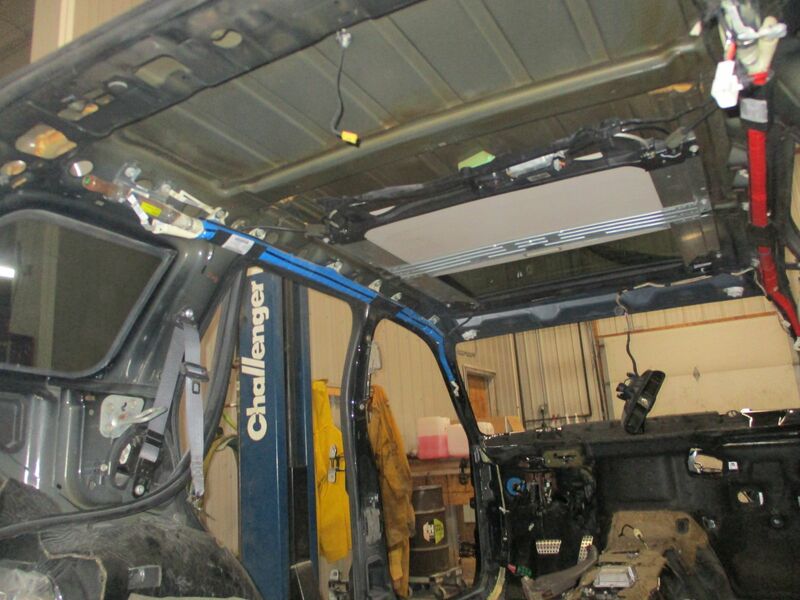 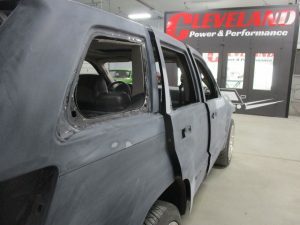 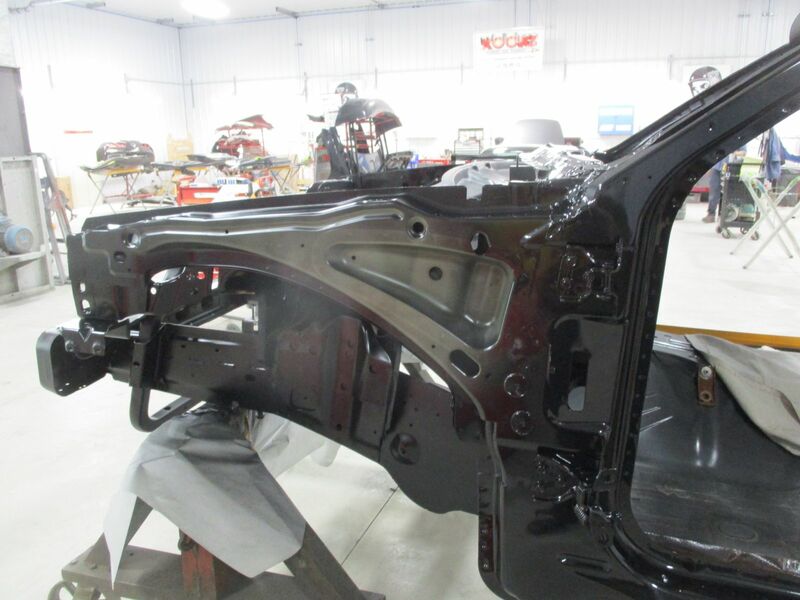 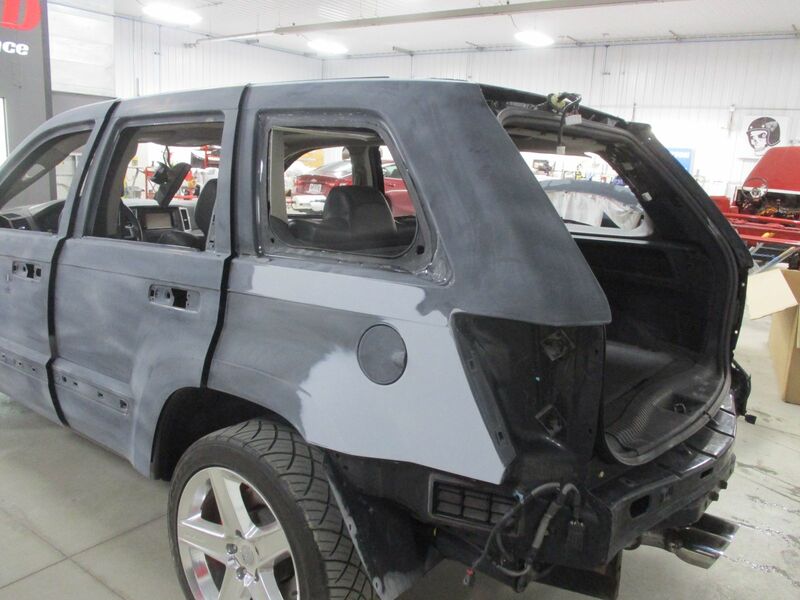 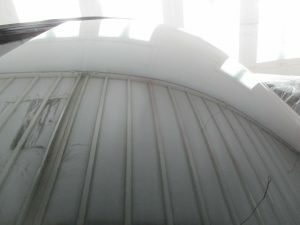 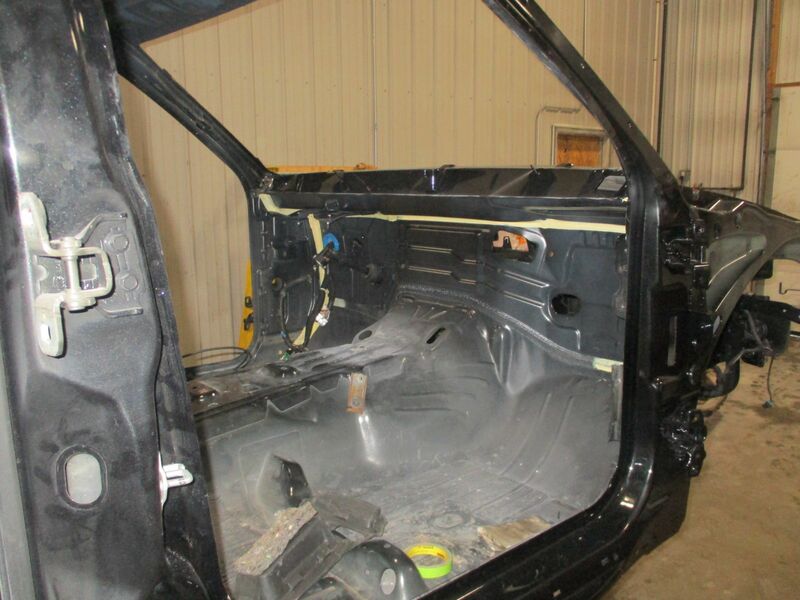 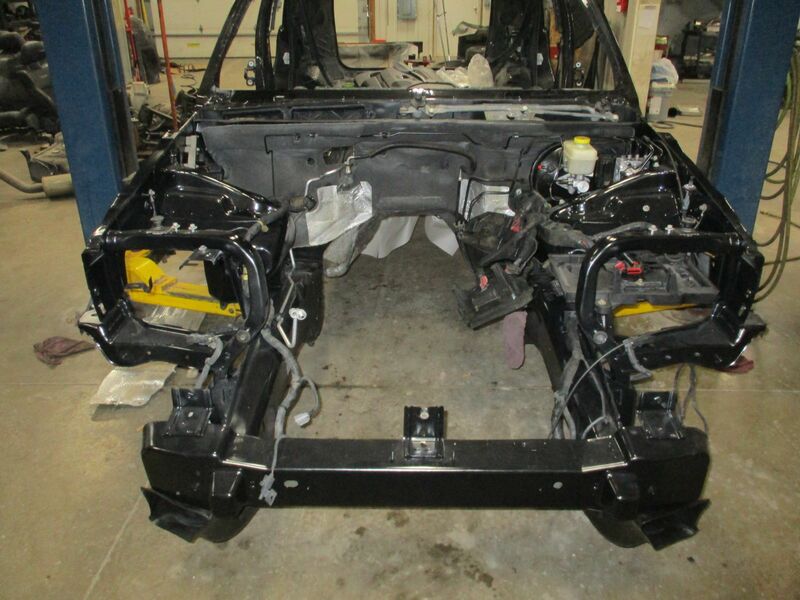 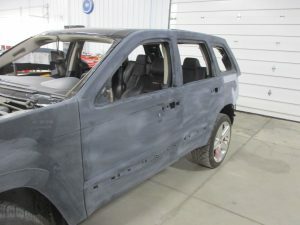 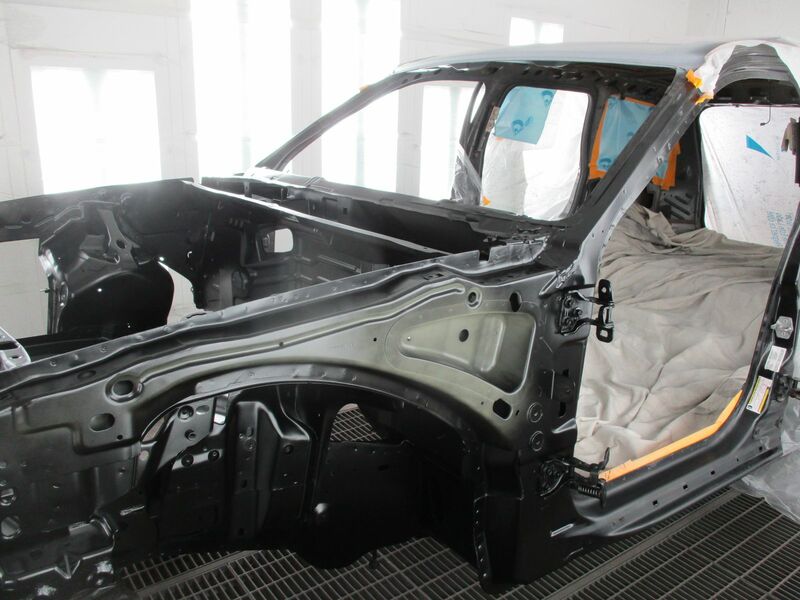 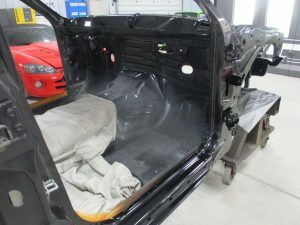 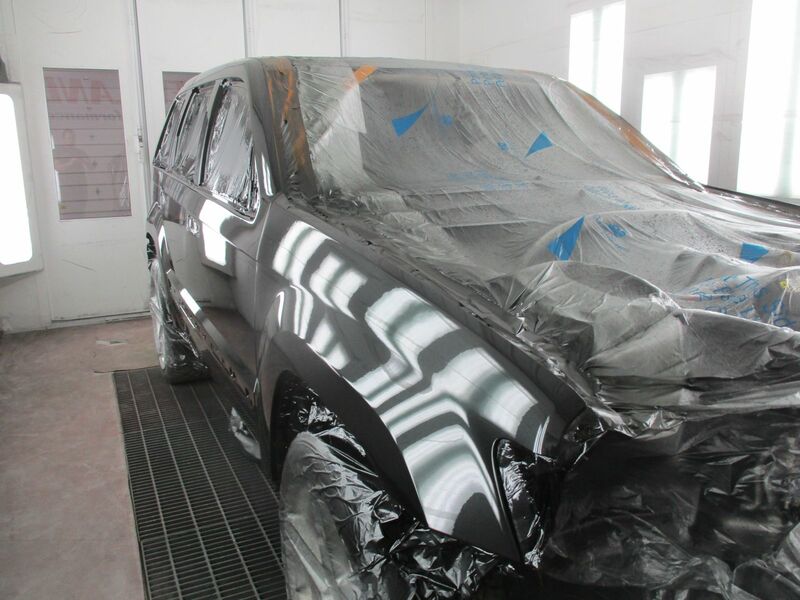 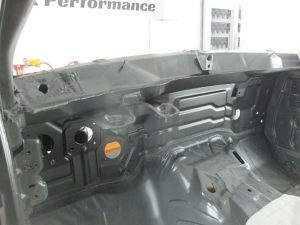 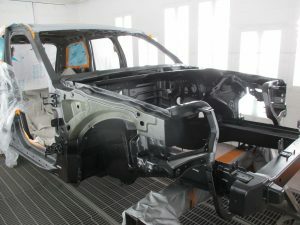 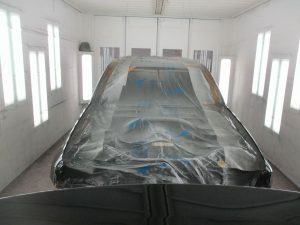 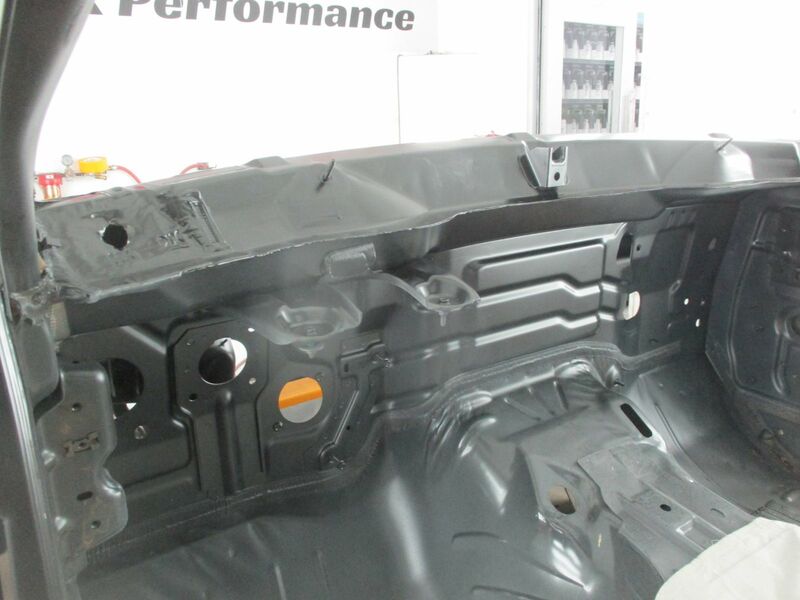 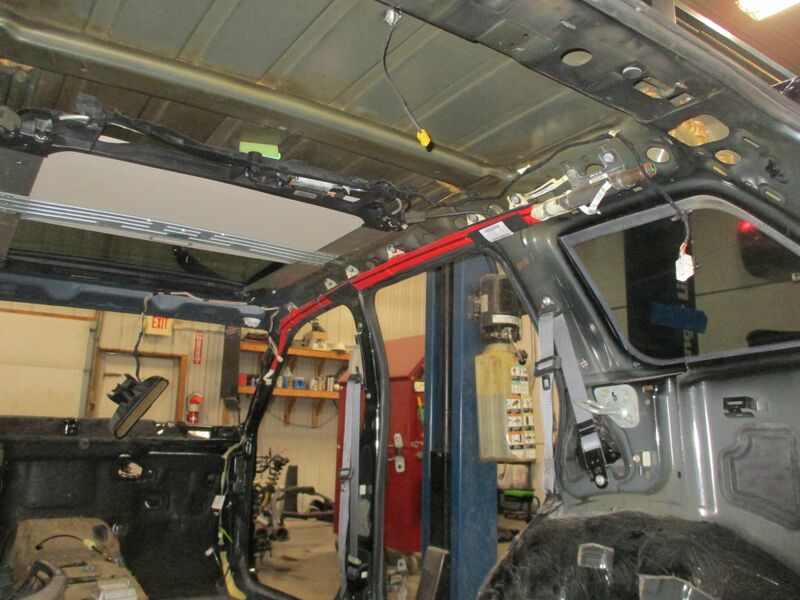 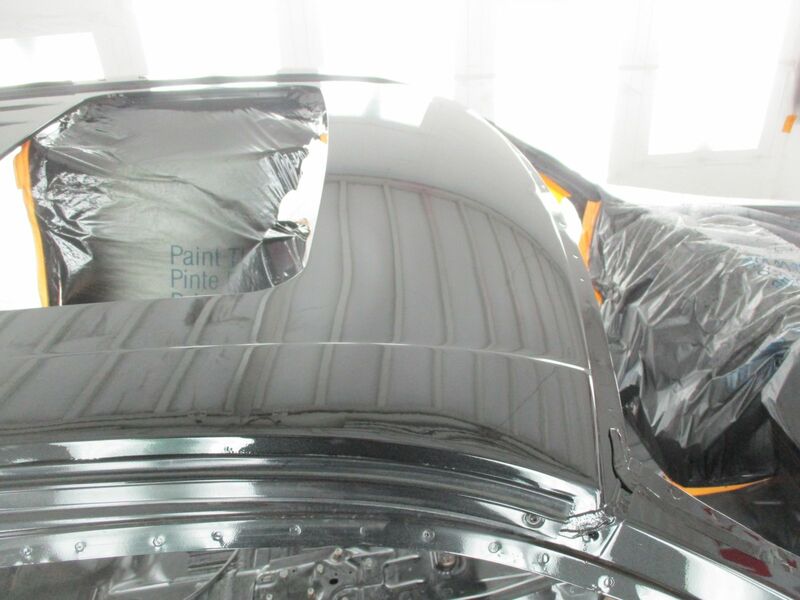 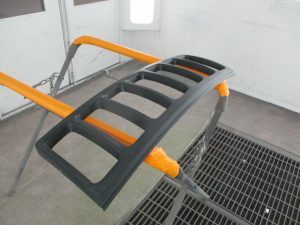 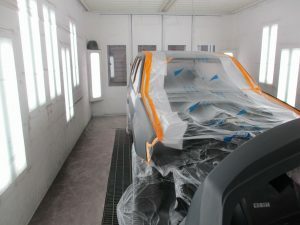 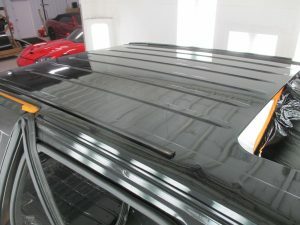 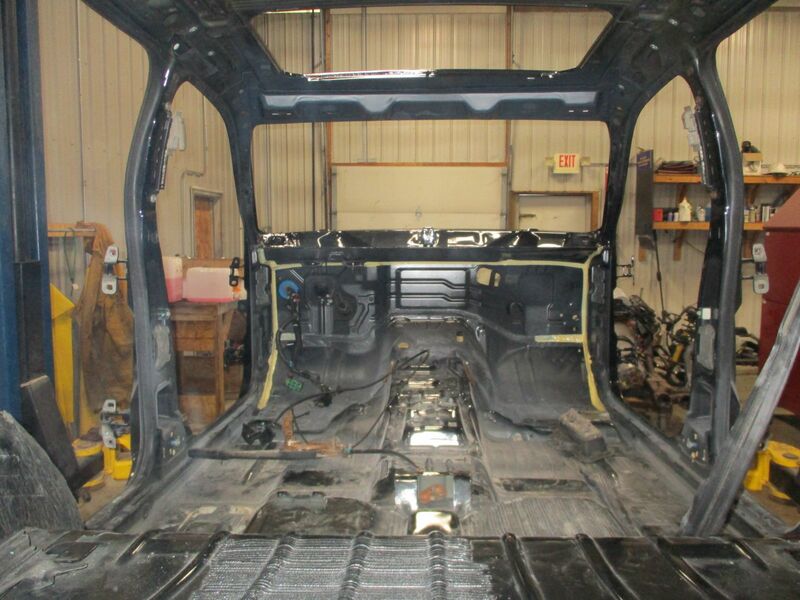 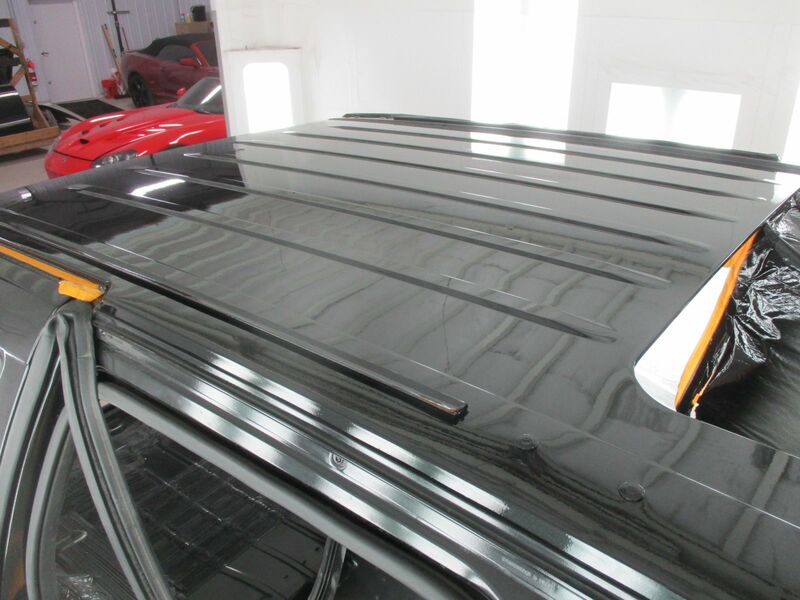 The body of the Jeep in the paint booth for some firewall and A-Pillar panel painting. 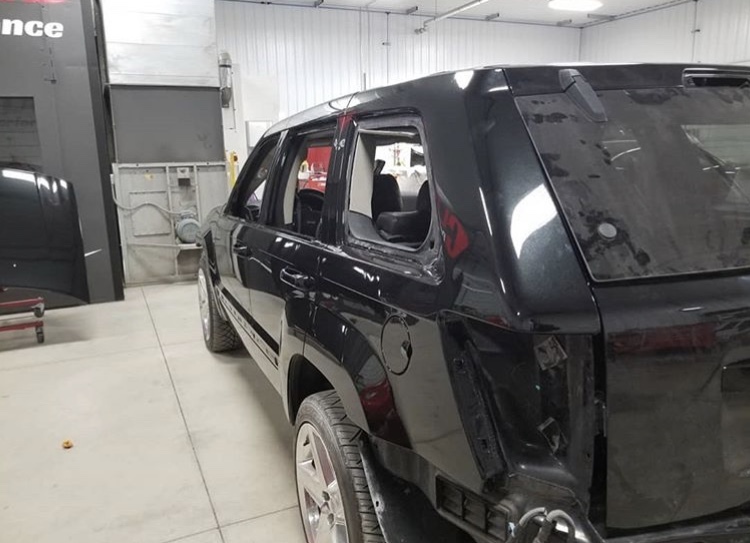 The rest of the Jeep will get sprayed later on down the road. 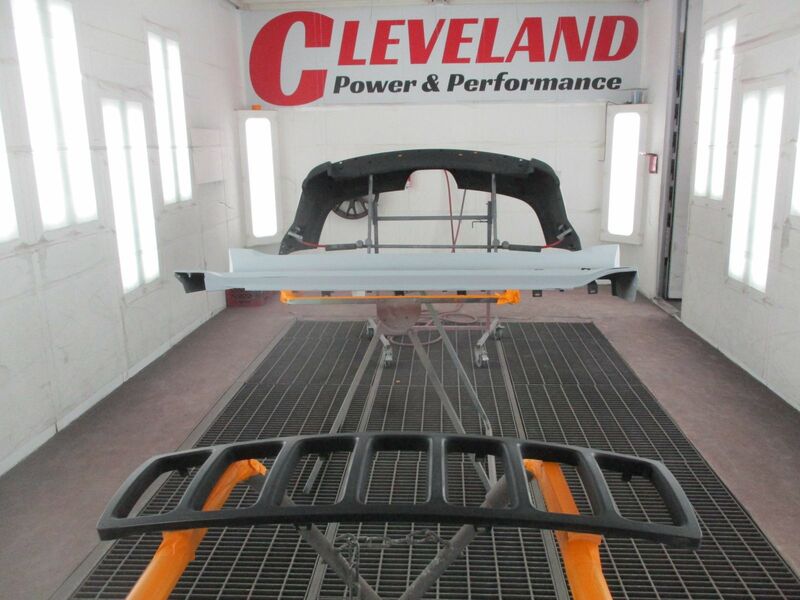 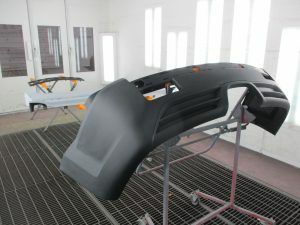 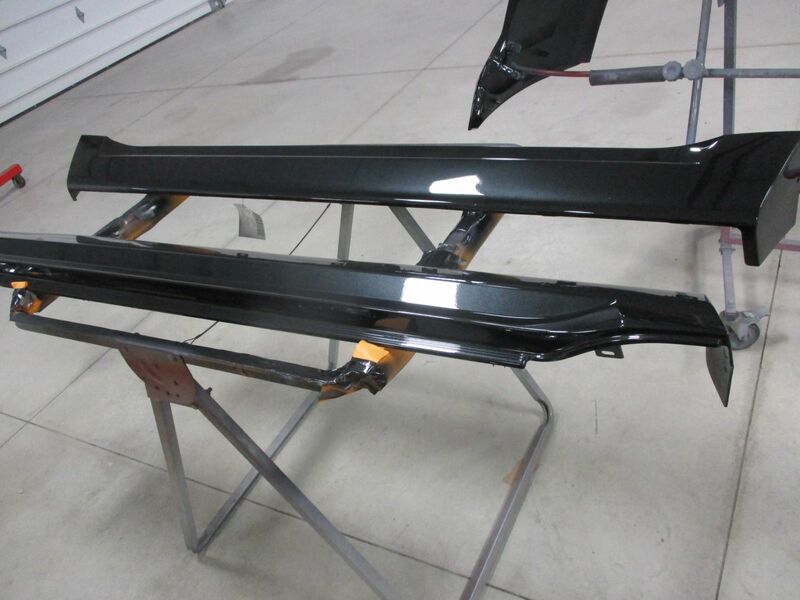 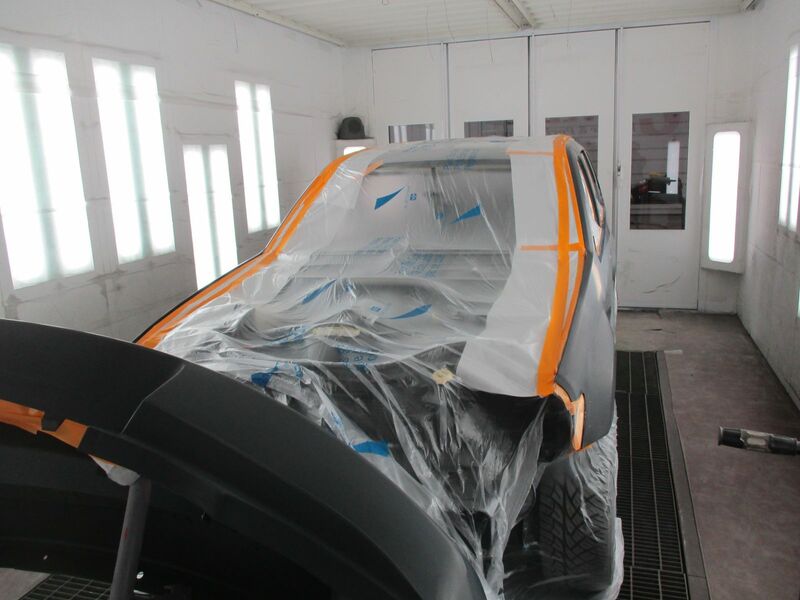 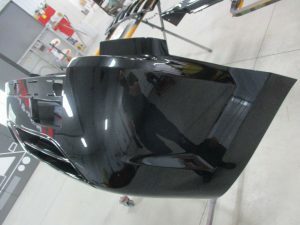 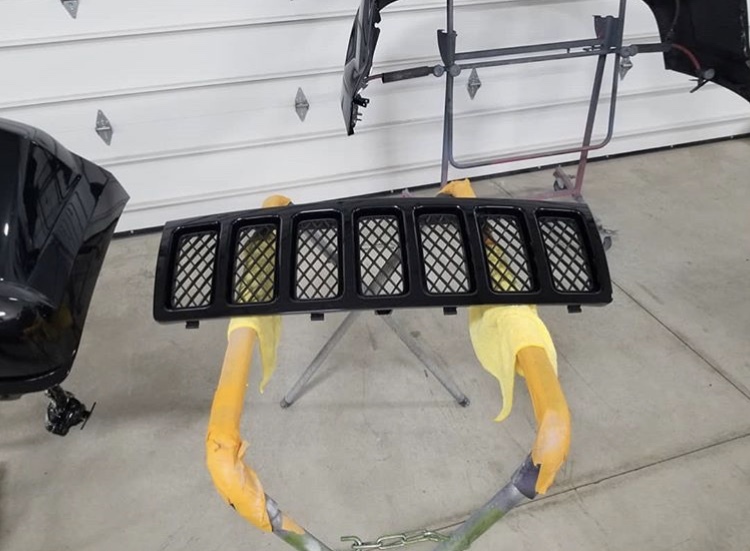 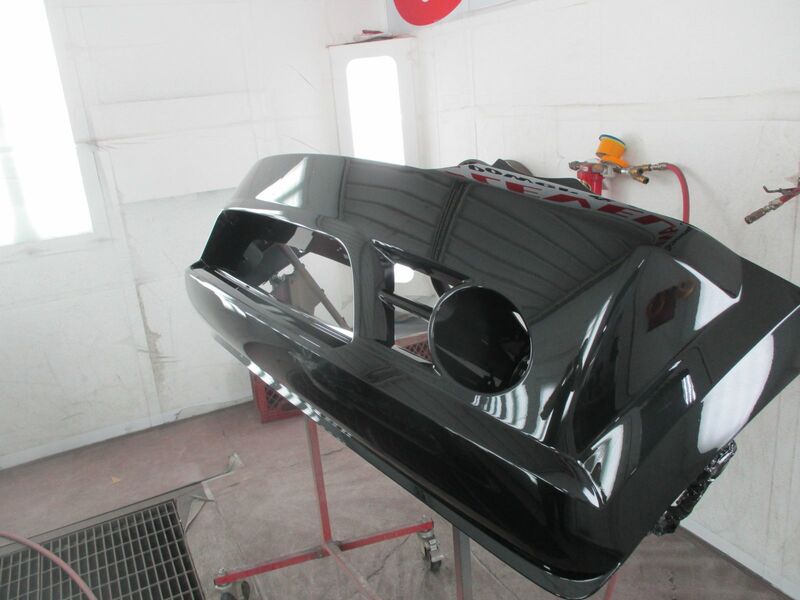 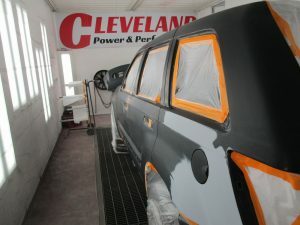 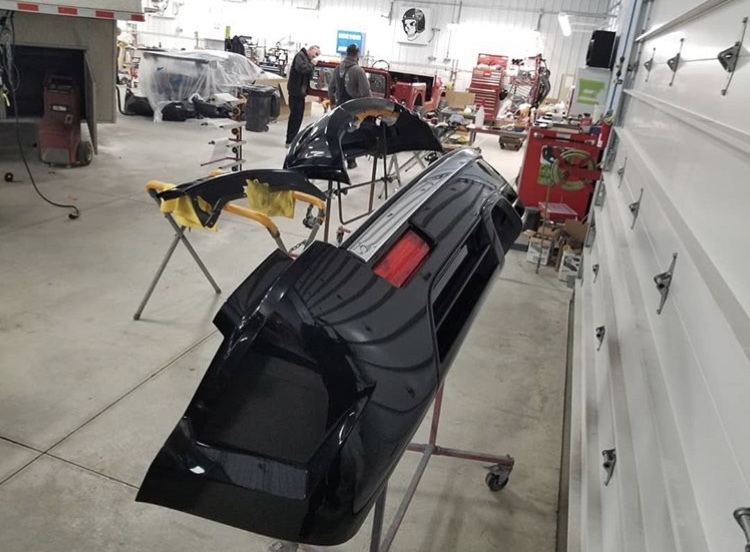 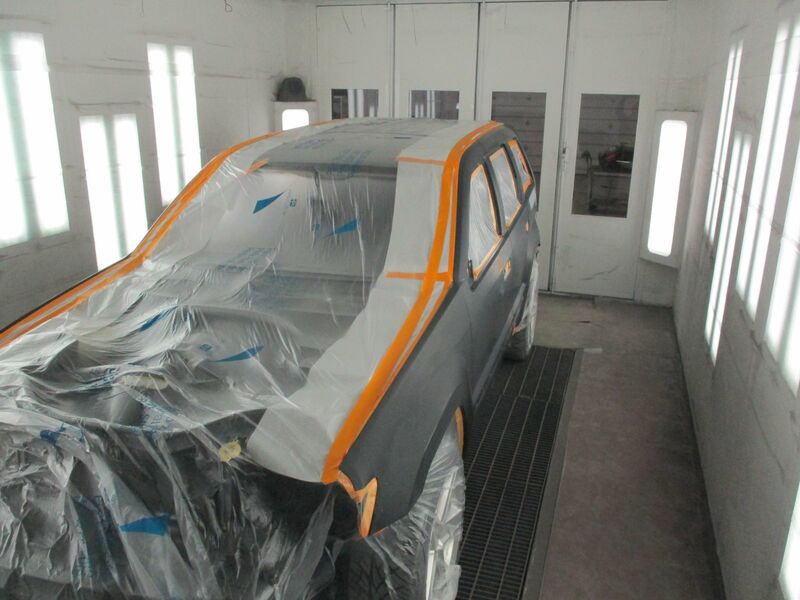 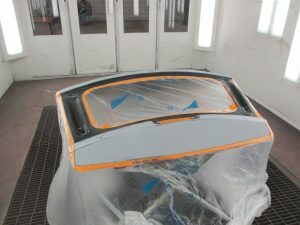 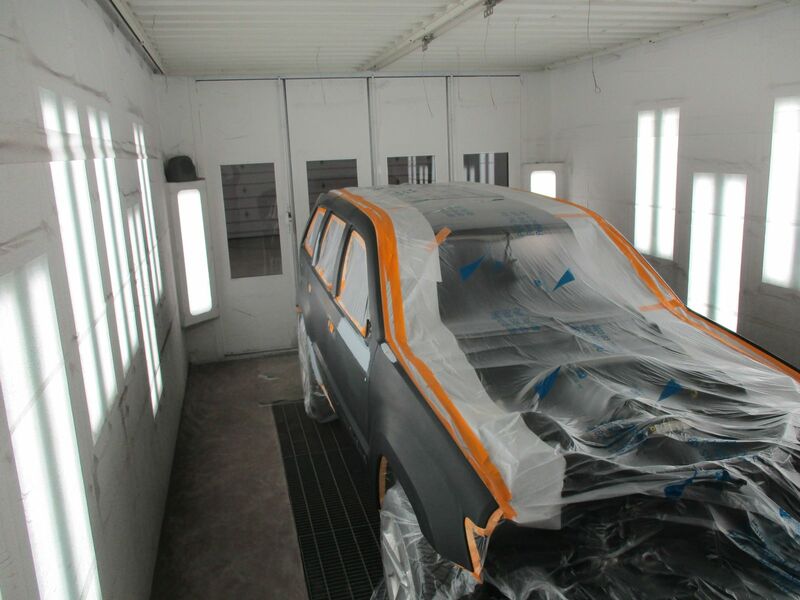 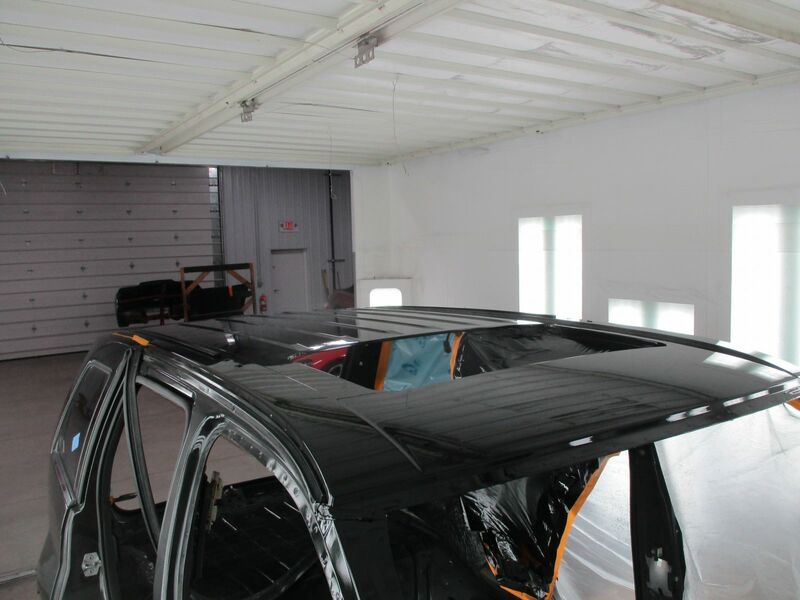 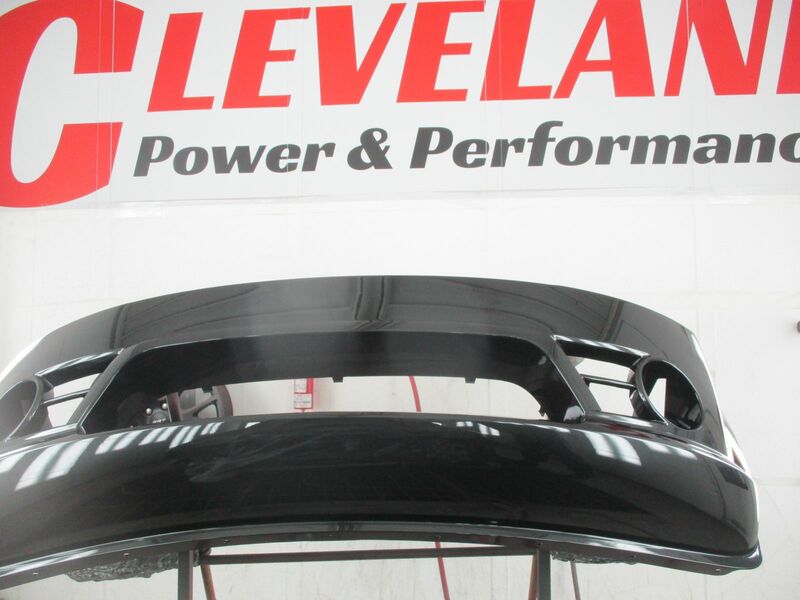 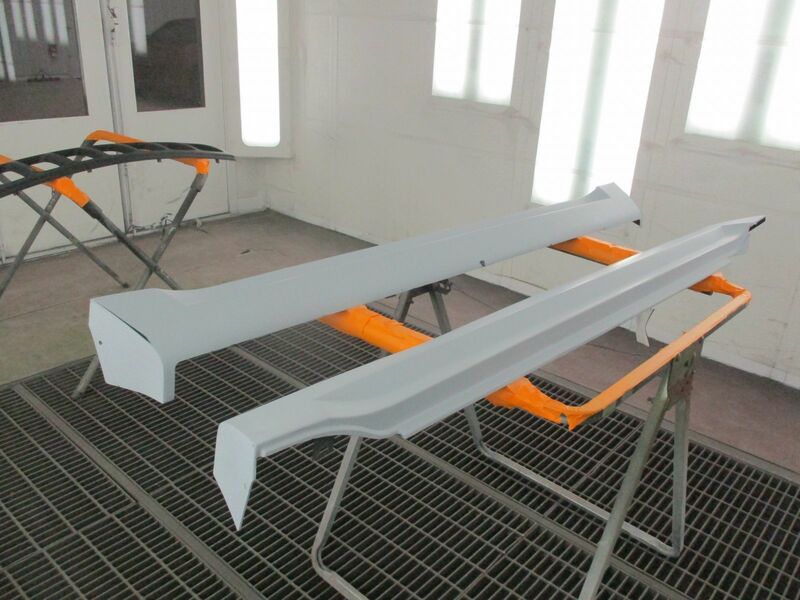 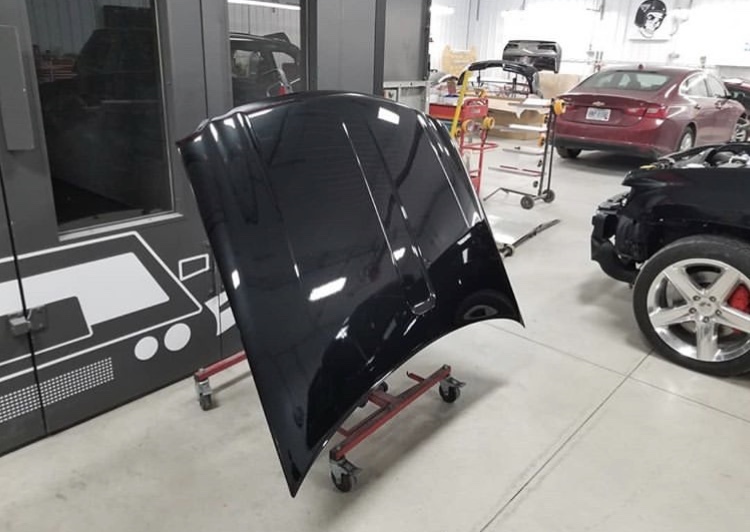 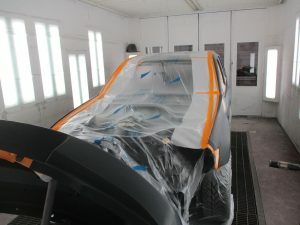 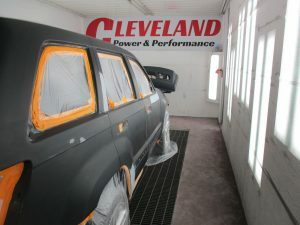 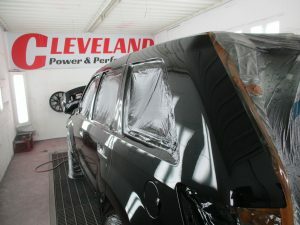 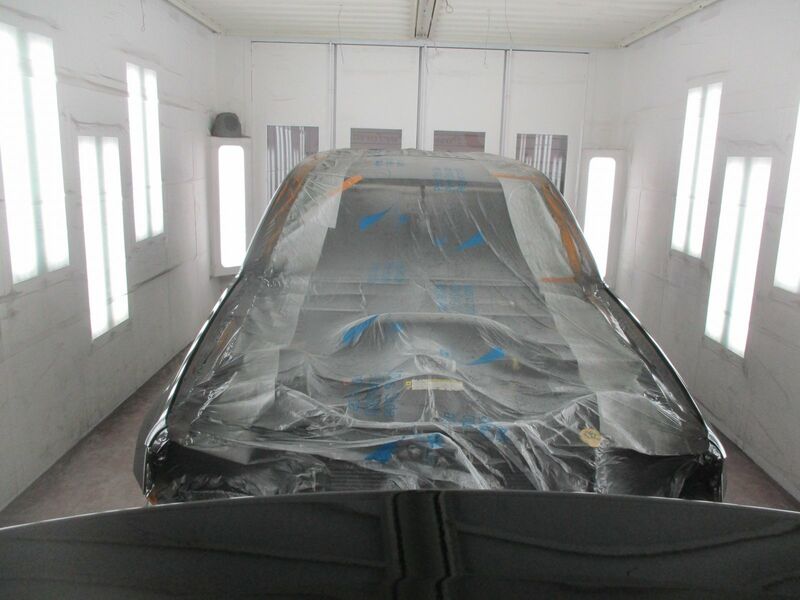 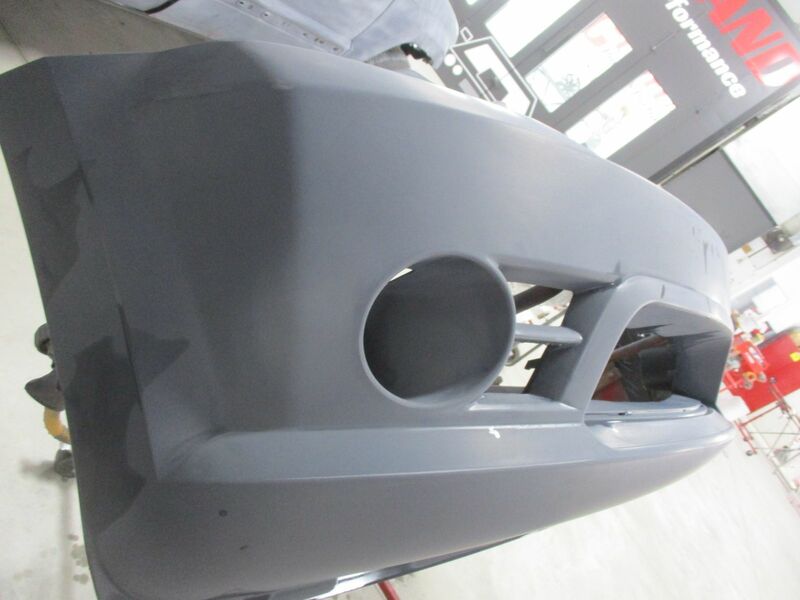 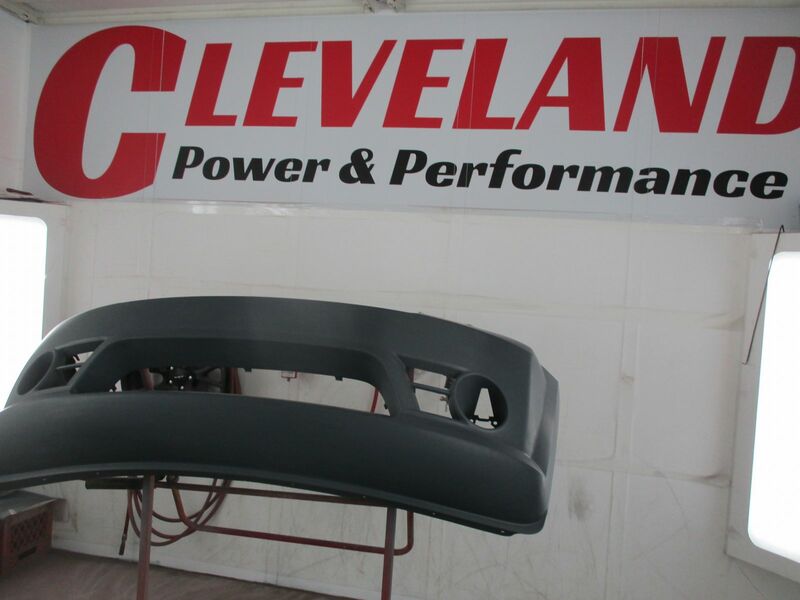 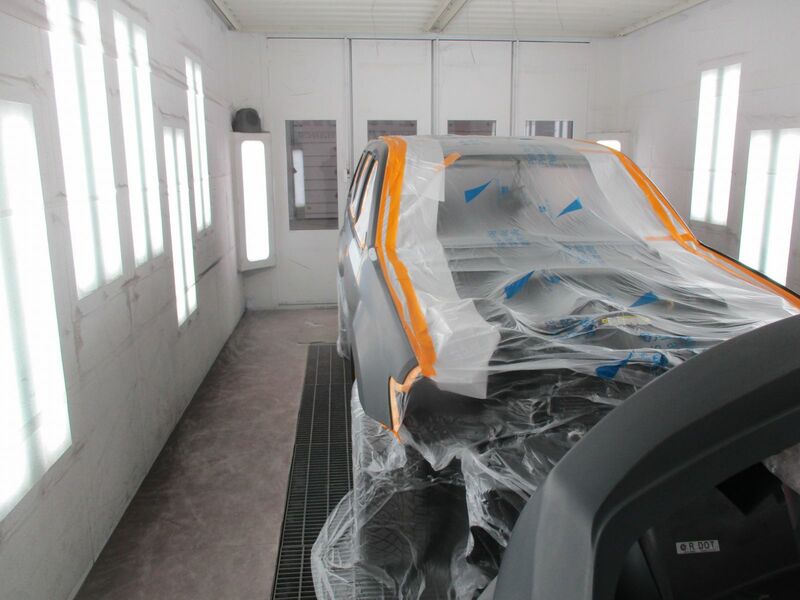 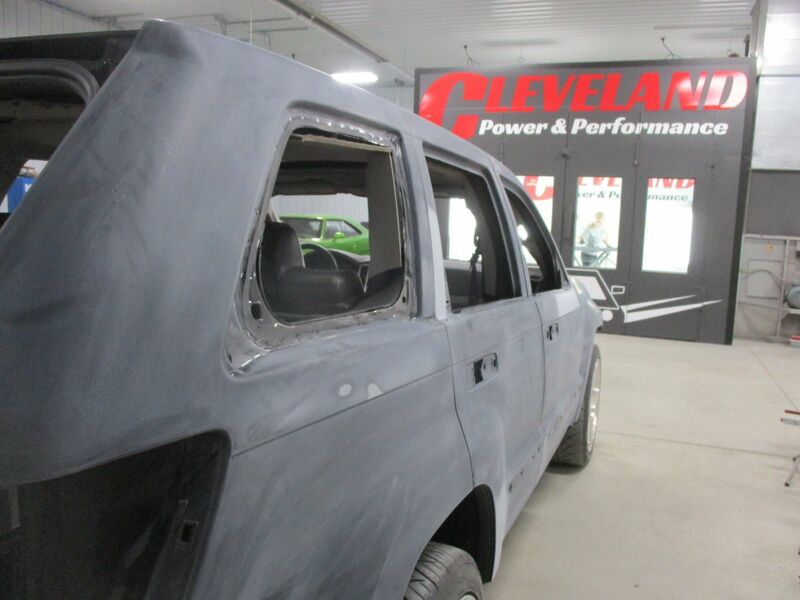 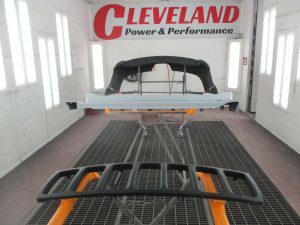 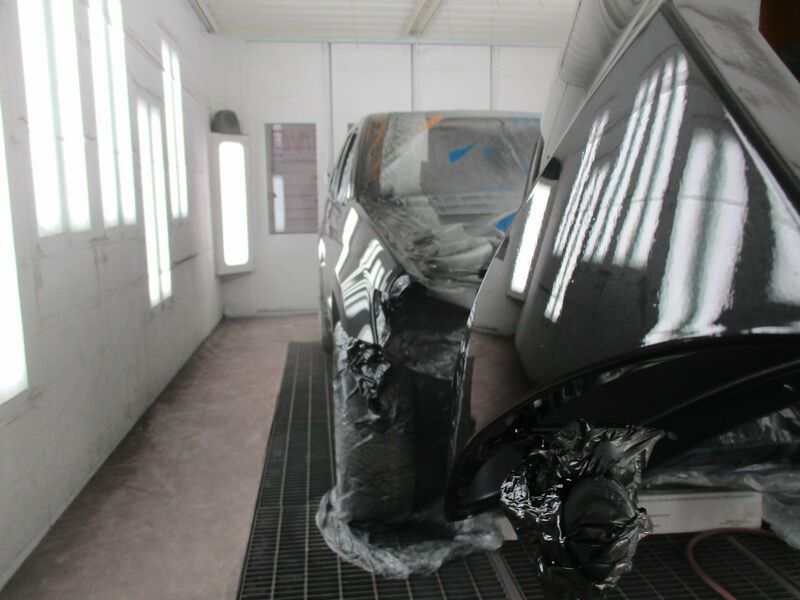 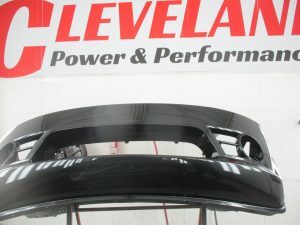 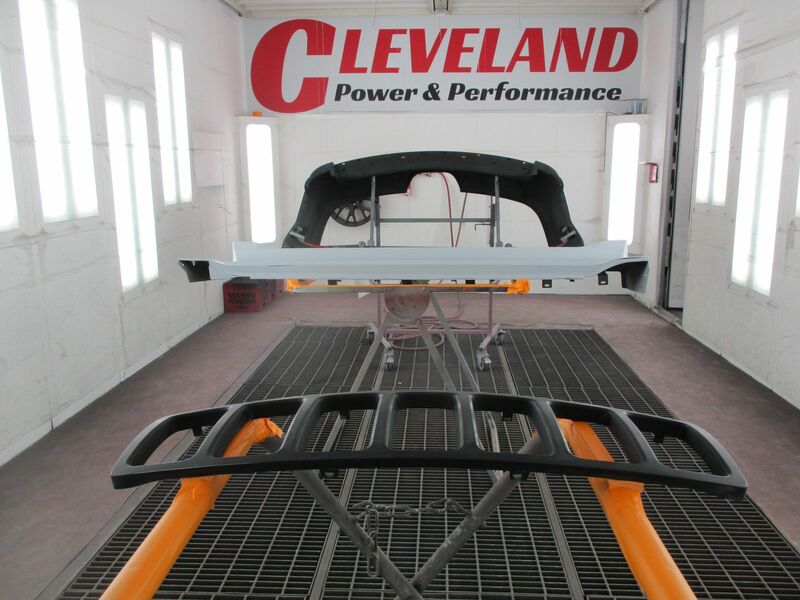 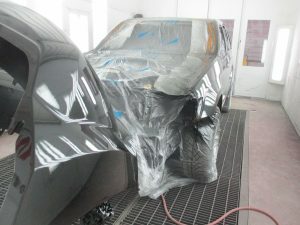 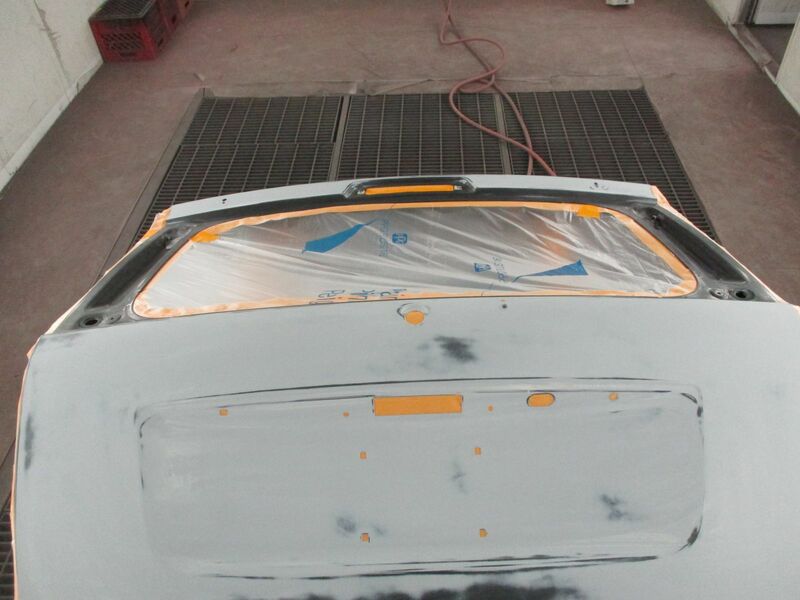 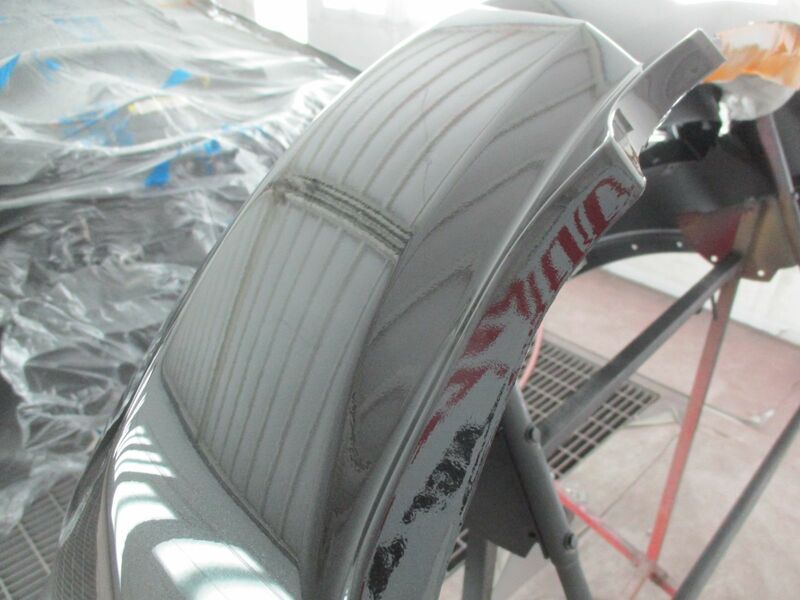 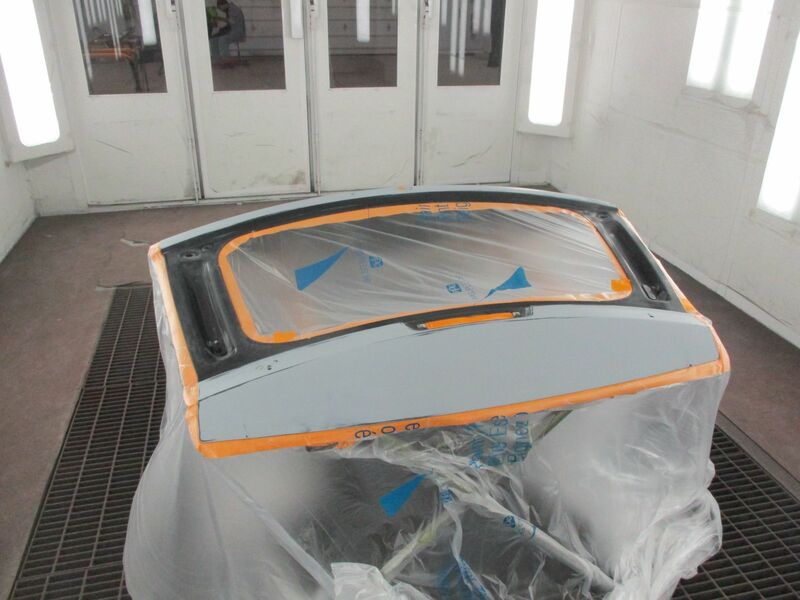 The rear bumper cover, rocker mouldings, front grille, and decklid all getting painted while they are off of the vehicle. 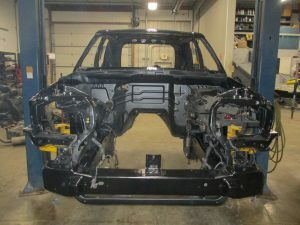 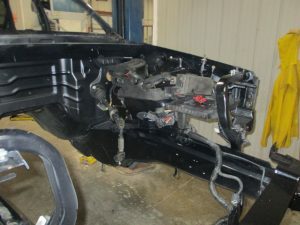 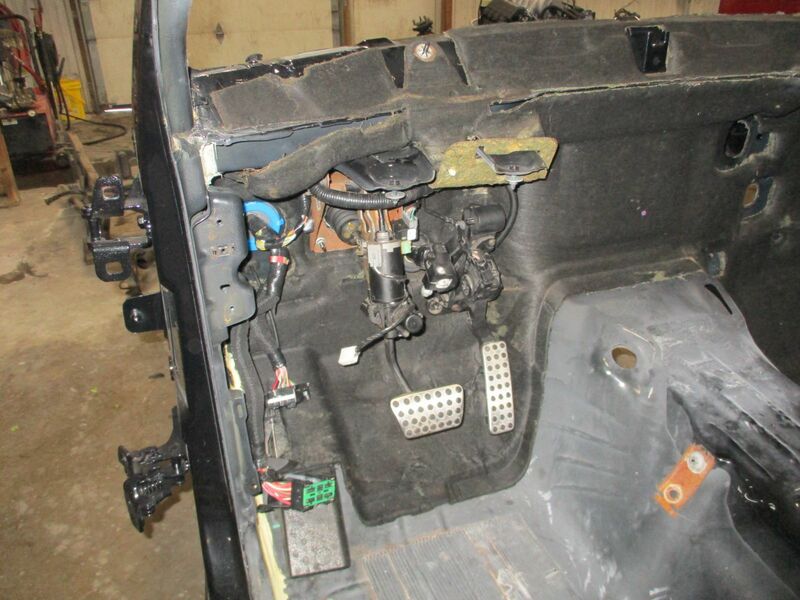 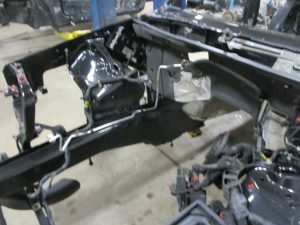 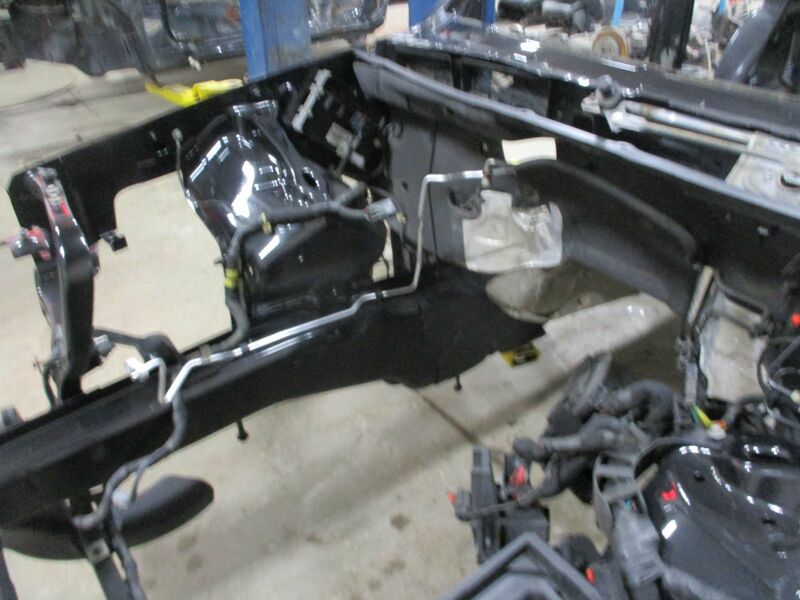 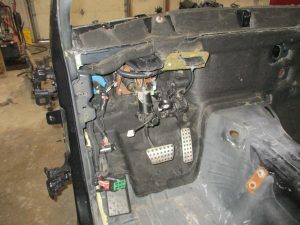 Here we have the Jeep body complete stripped down. 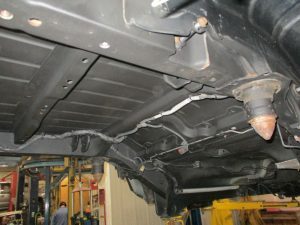 The frame rails and the roof were painted, and now the motor and the interior will be next to go back into the shell. 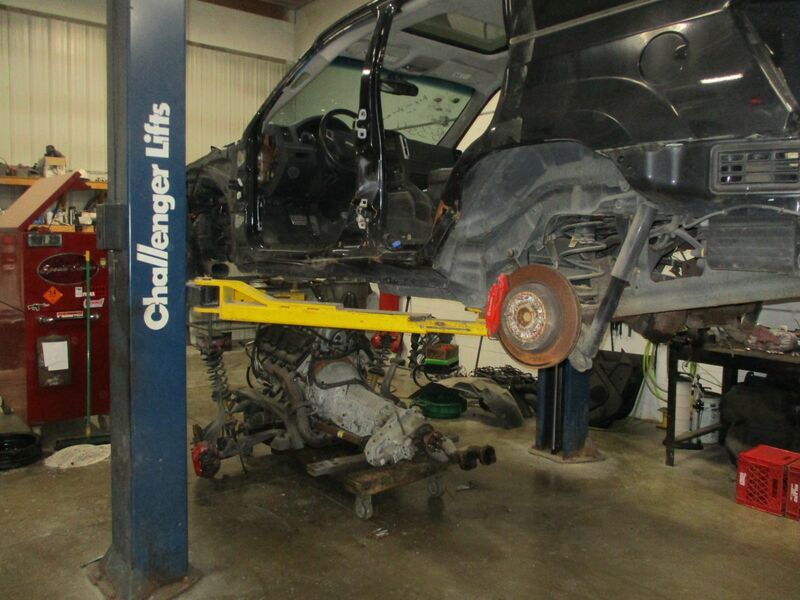 The 6.1L motor and the front suspension both in the car. 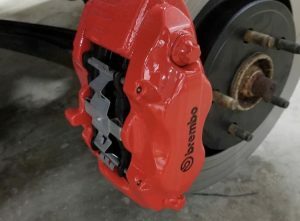 We also put a fresh coat of paint on the Brembo calipers for the next owner. 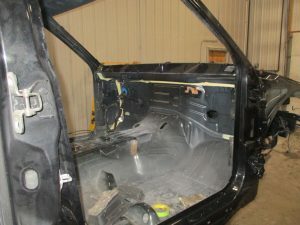 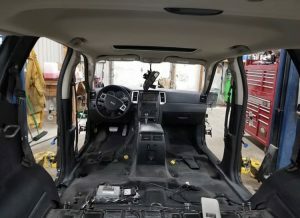 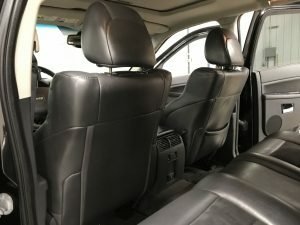 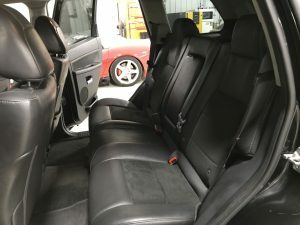 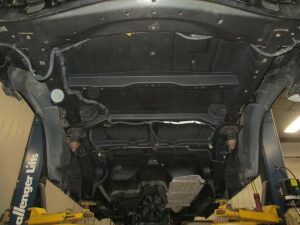 Also, the interior starting to go back into the car. 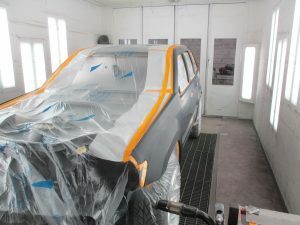 Paint time! 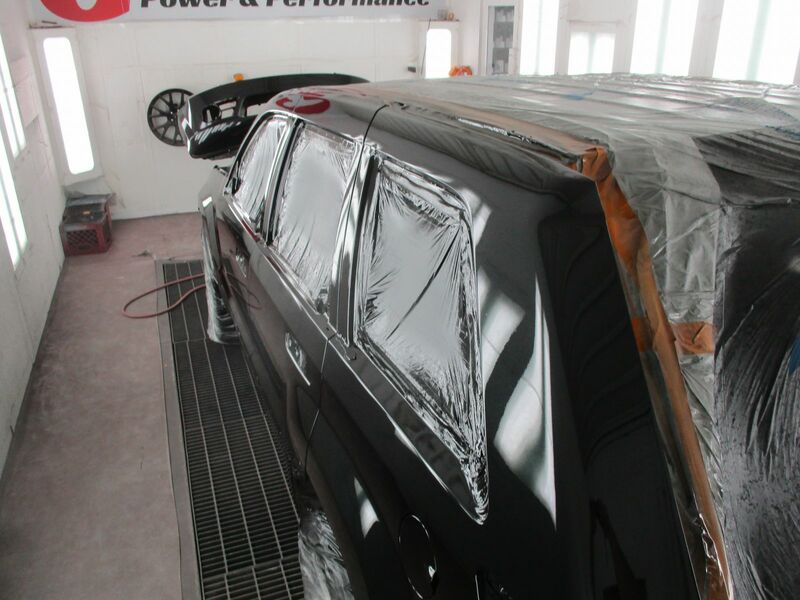 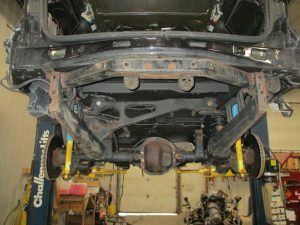 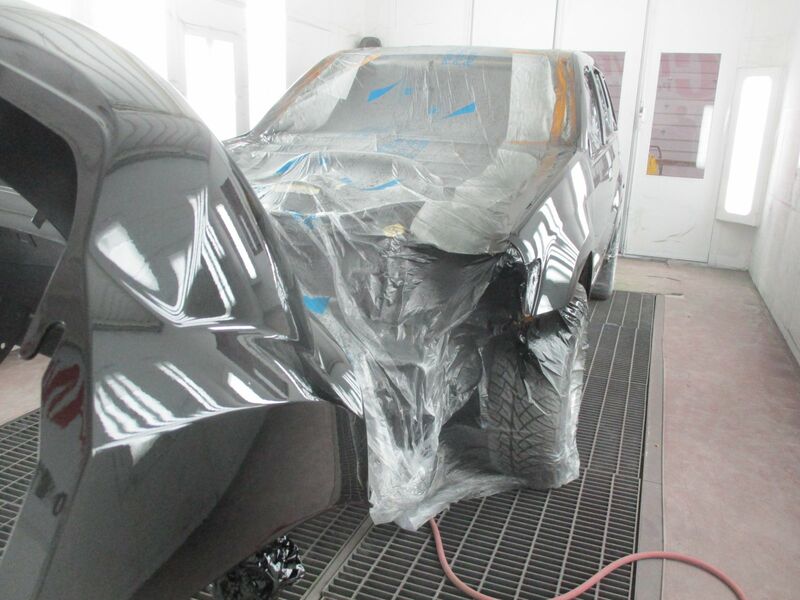 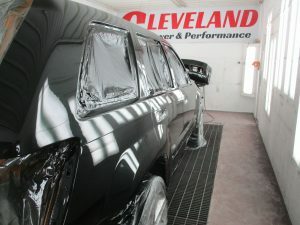 Here you will see our Grand Cherokee during various stages of prep before she hits the booth. We will be painting it the same factory color that was on there before. 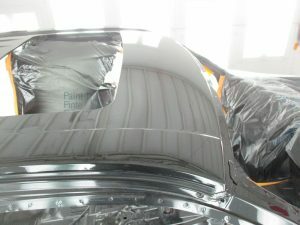 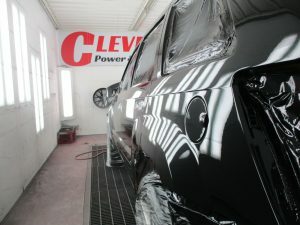 Some more paint booth action shots here. 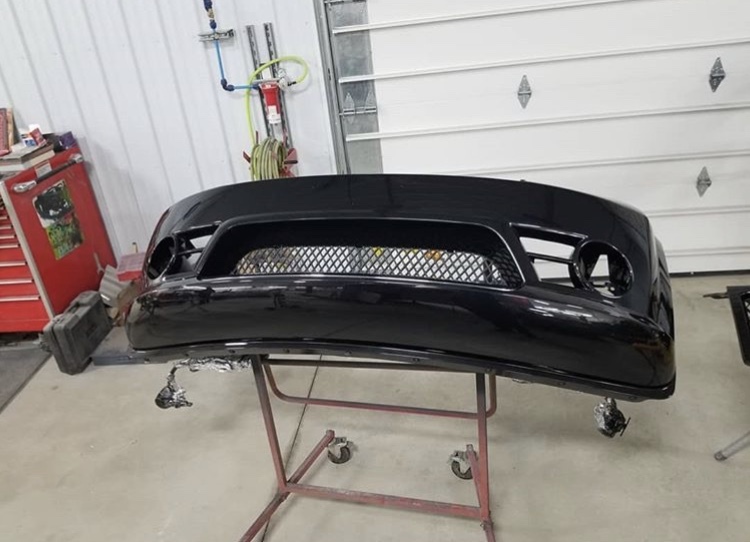 You can see the paint just about finished up. 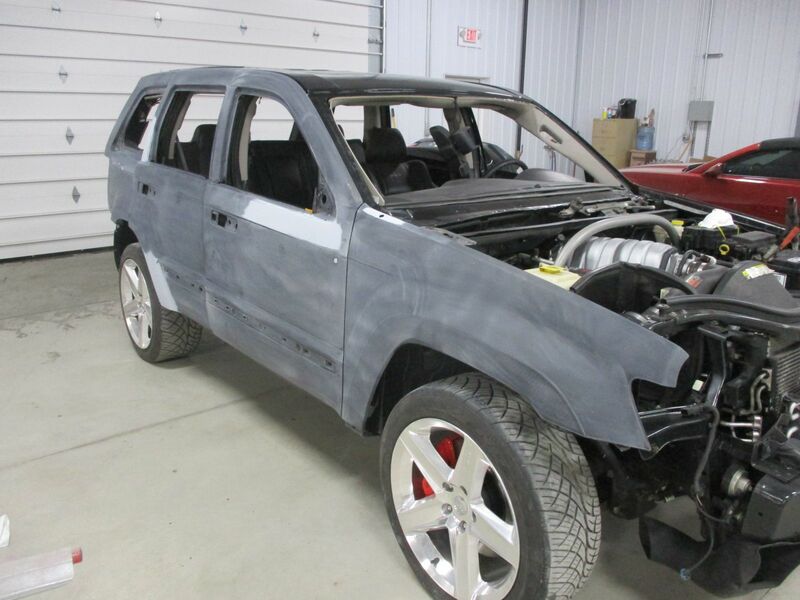 Closing stages of the Grand Cherokee coming up soon! The body panels, as well as the Jeep in general, all done with pain. 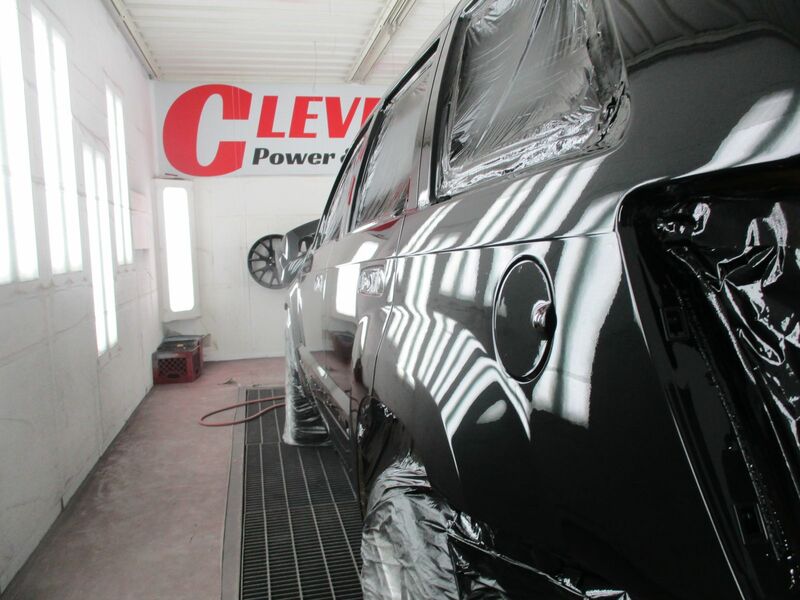 Fresh coat of Brilliant Black Metallic on her. 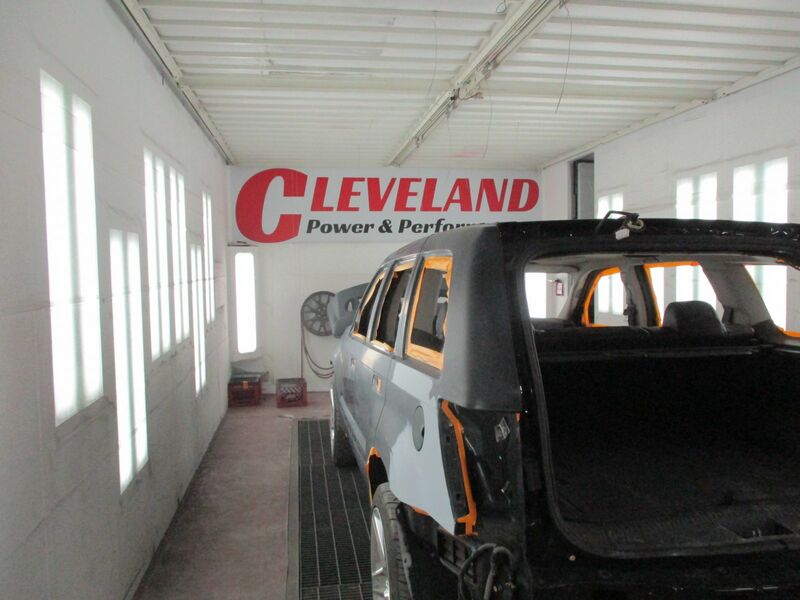 Next up, the fun part…the test driving! 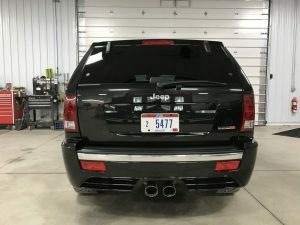 Finished pictures of the Jeep build!